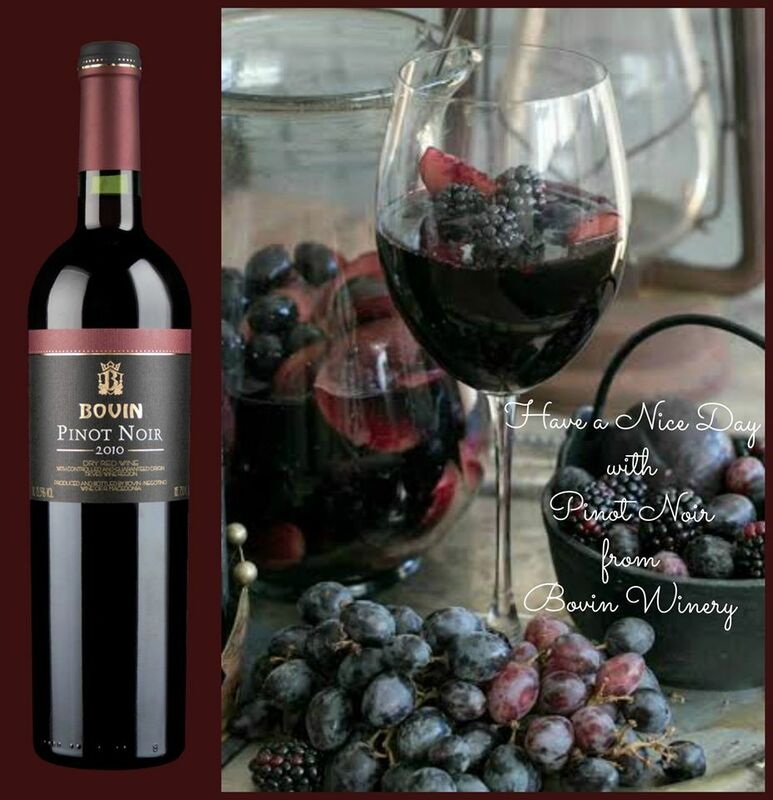 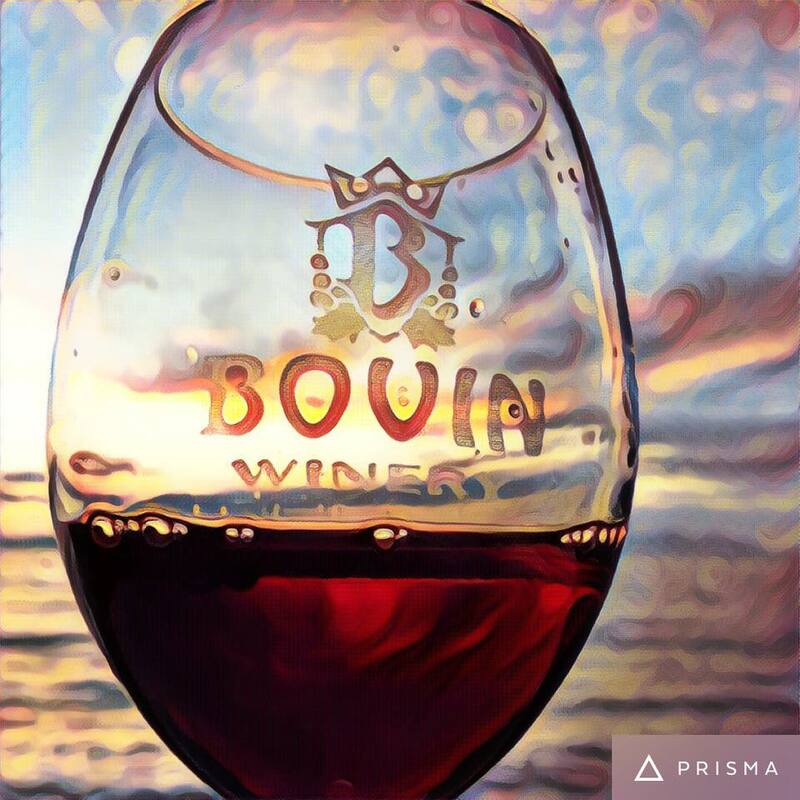 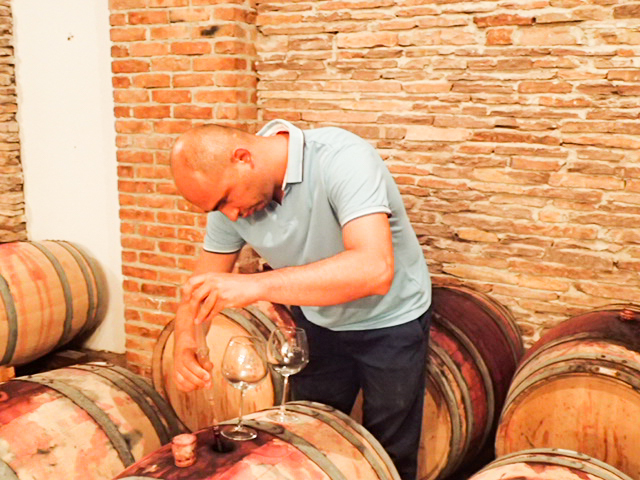 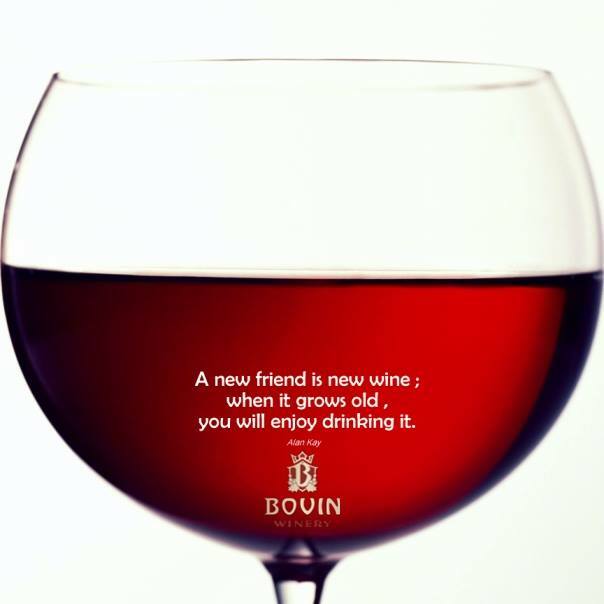 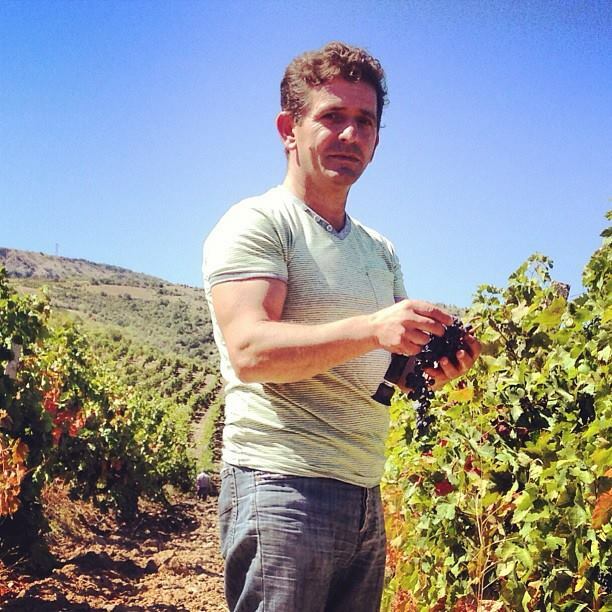 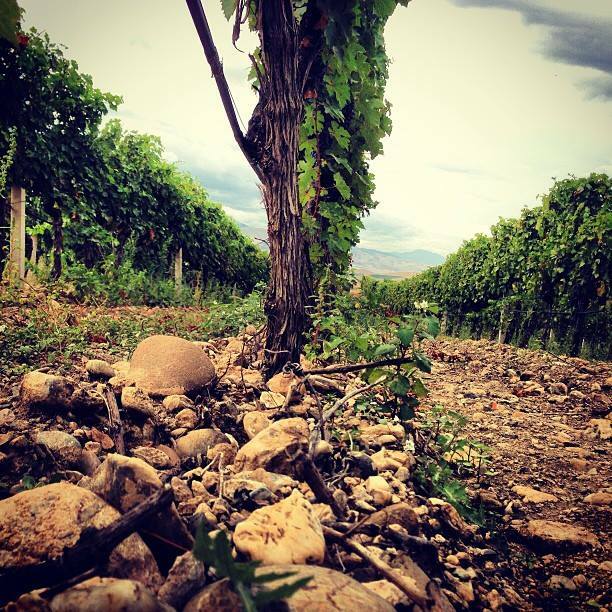 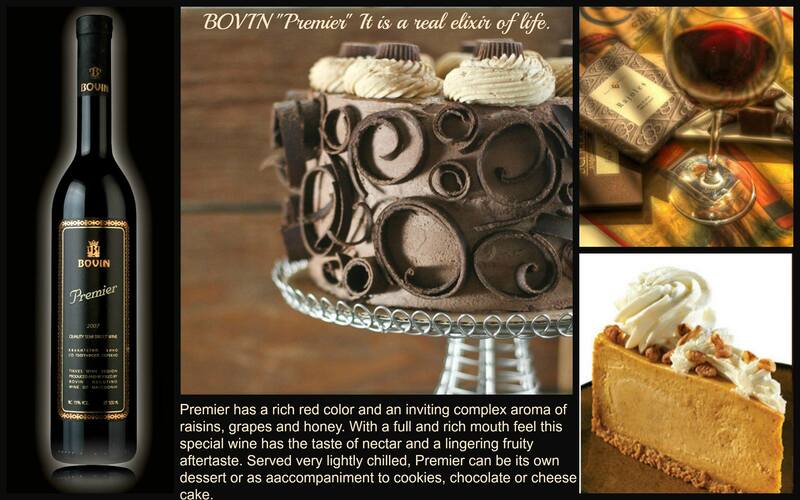 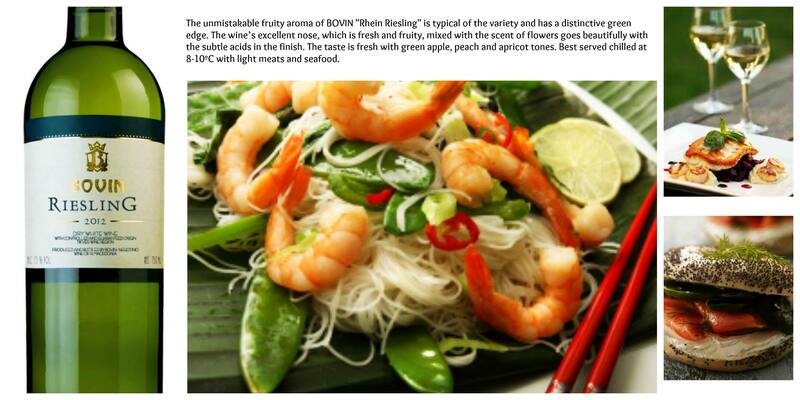 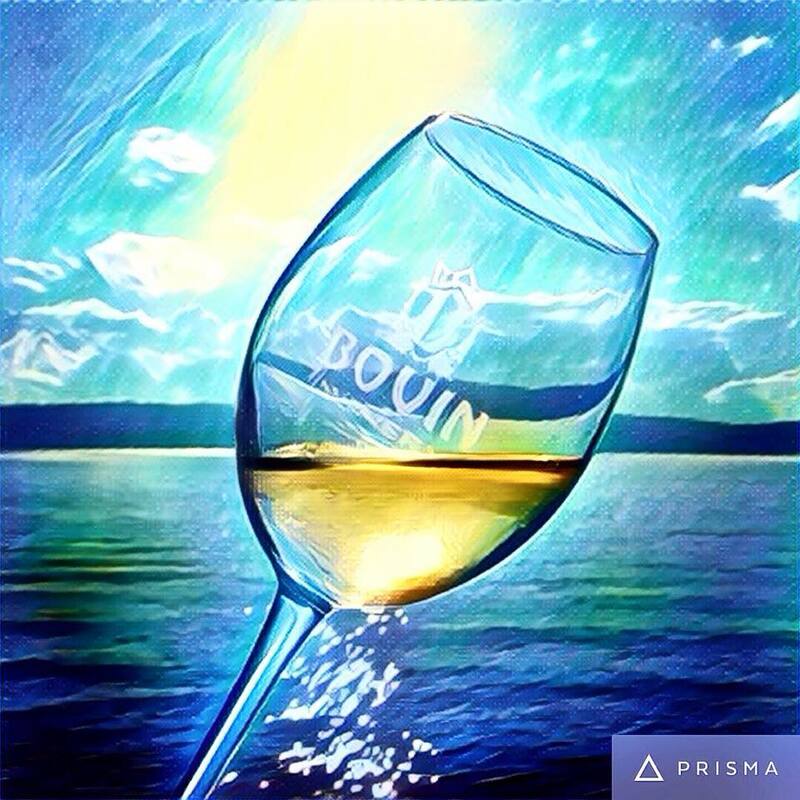 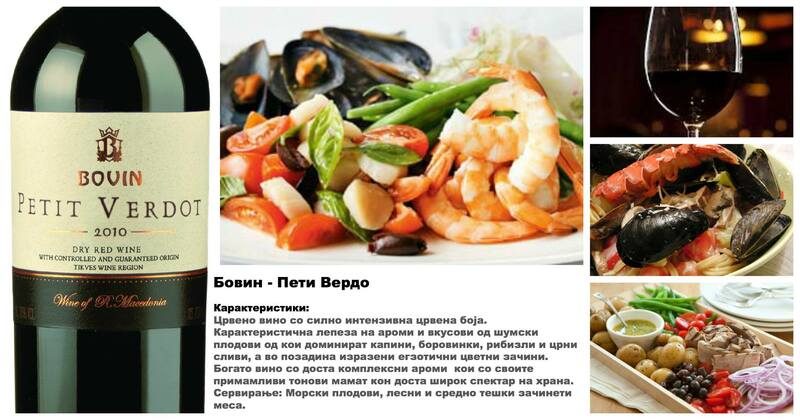 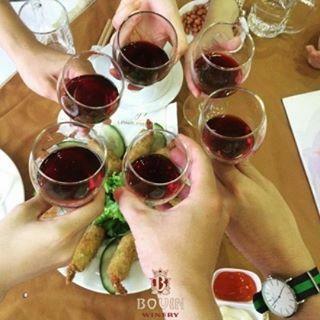 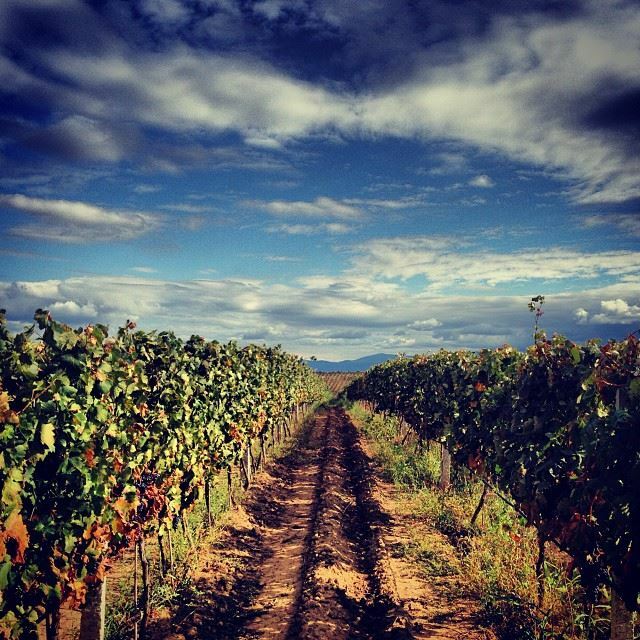 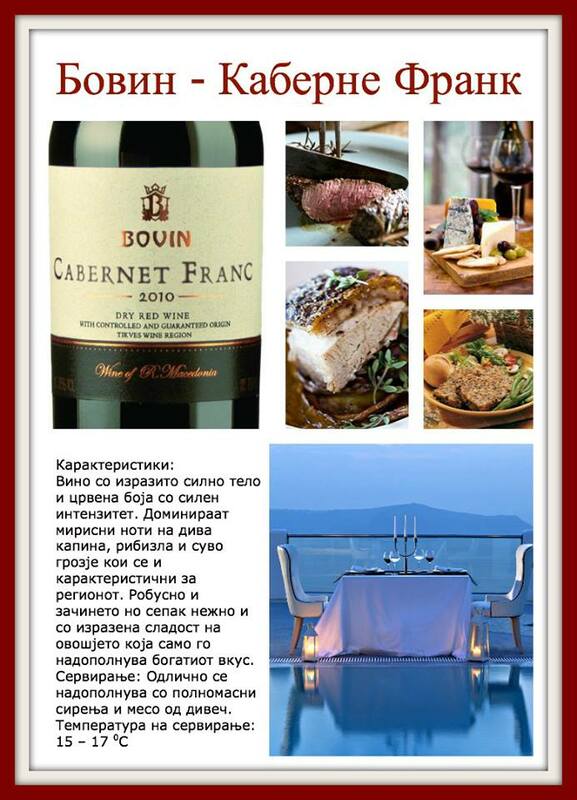 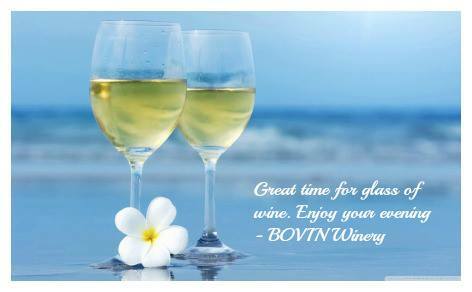 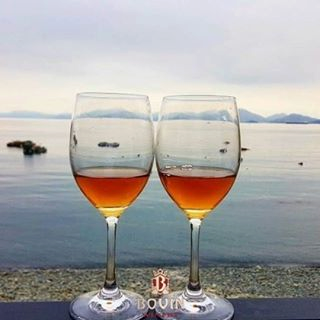 Established in 1998 by Kiril and Gjorgji Bogevski, Bovin is the first family winery in Macedonia. 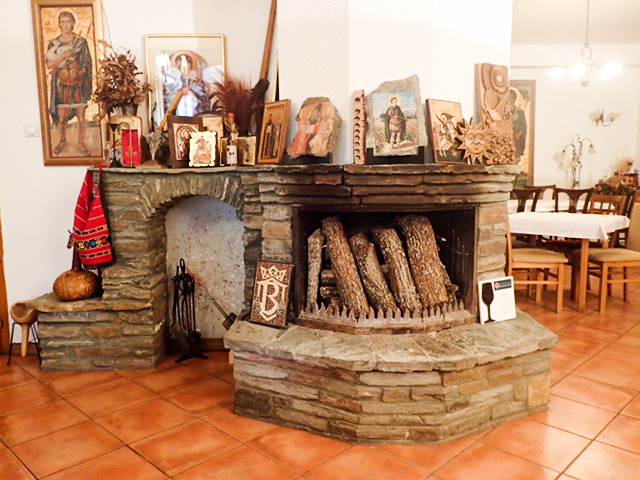 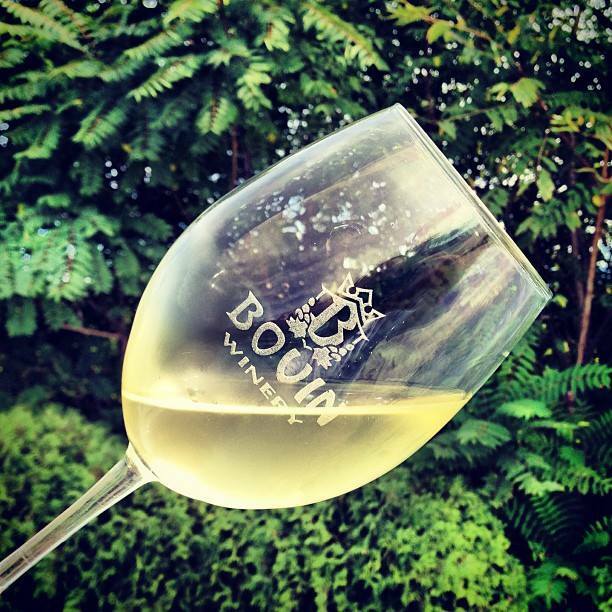 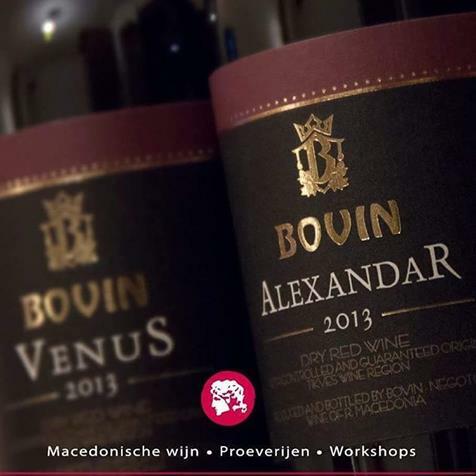 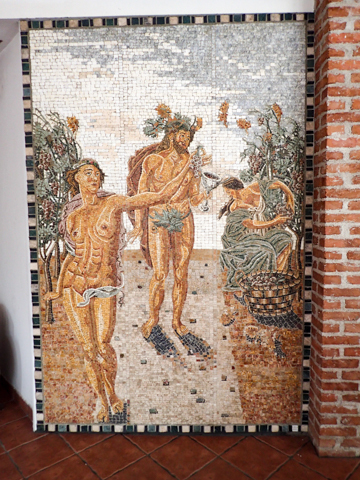 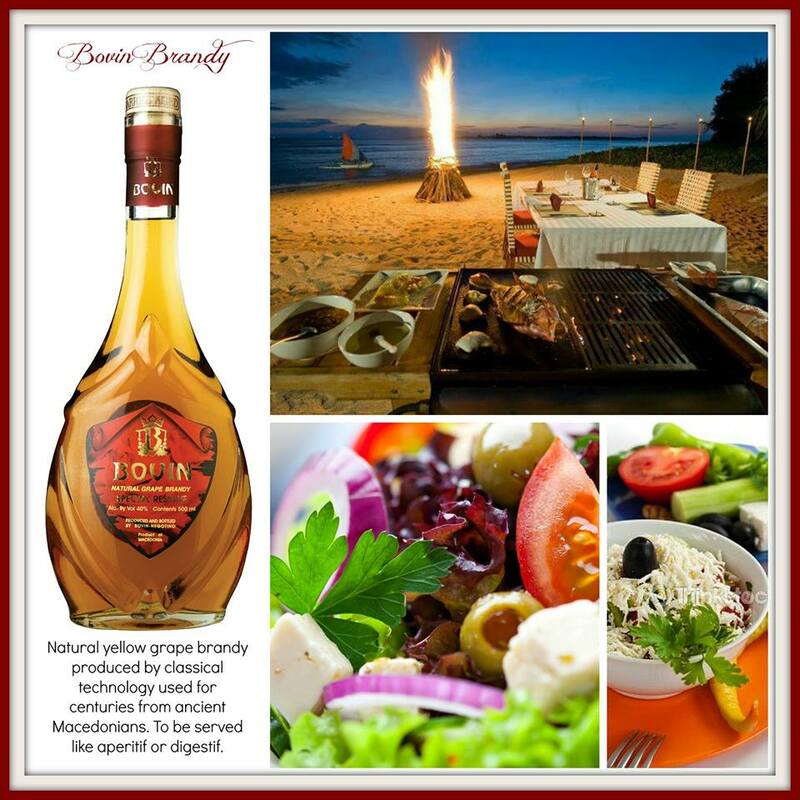 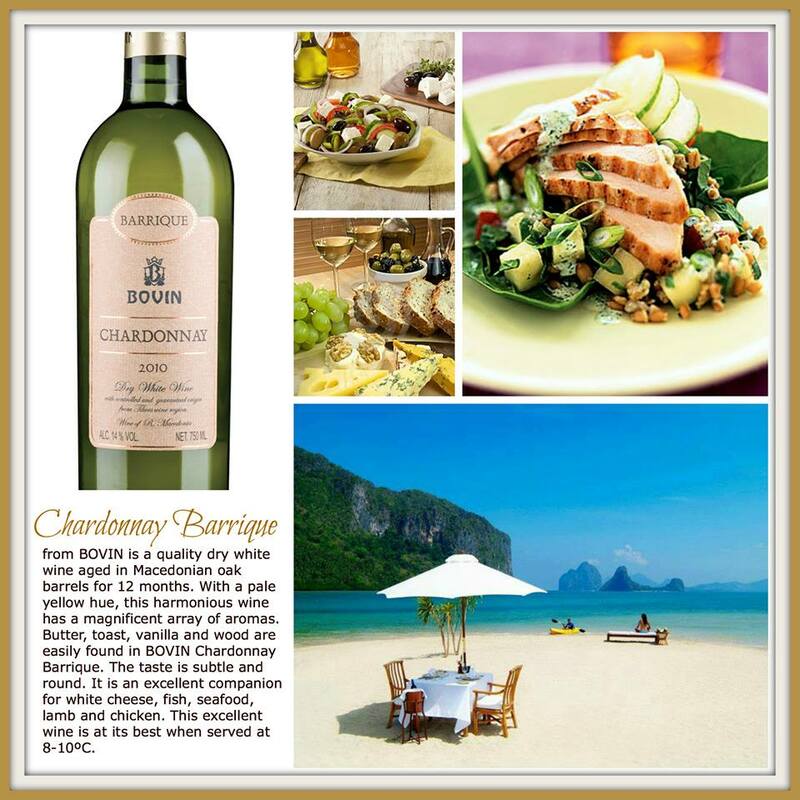 The winery’s trademark, “Bovin” is a fusion of the family name “Bogevski” and “Vino” (Macedonian for wine). 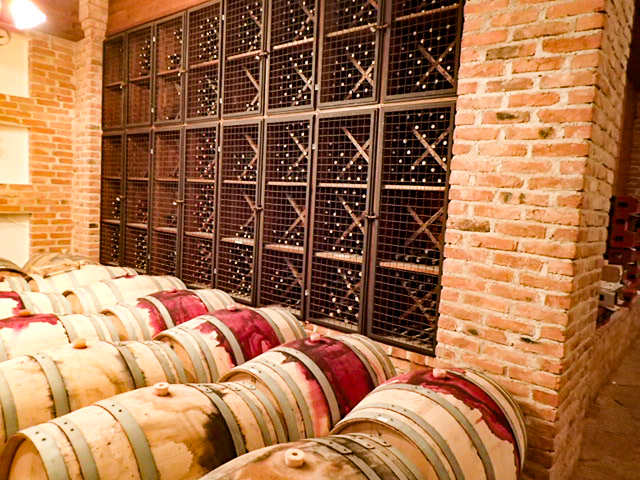 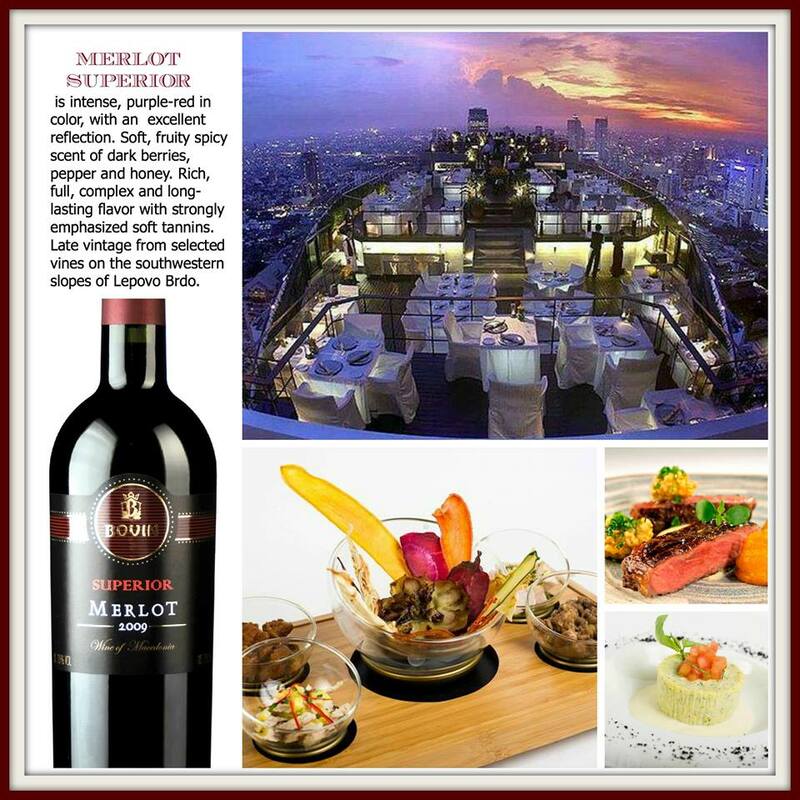 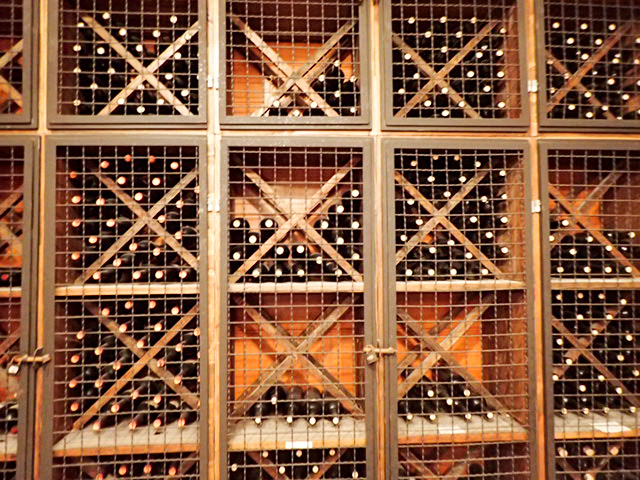 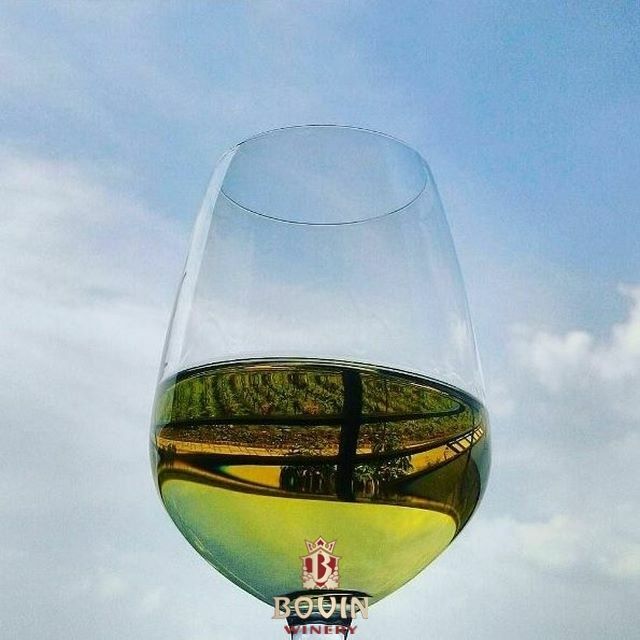 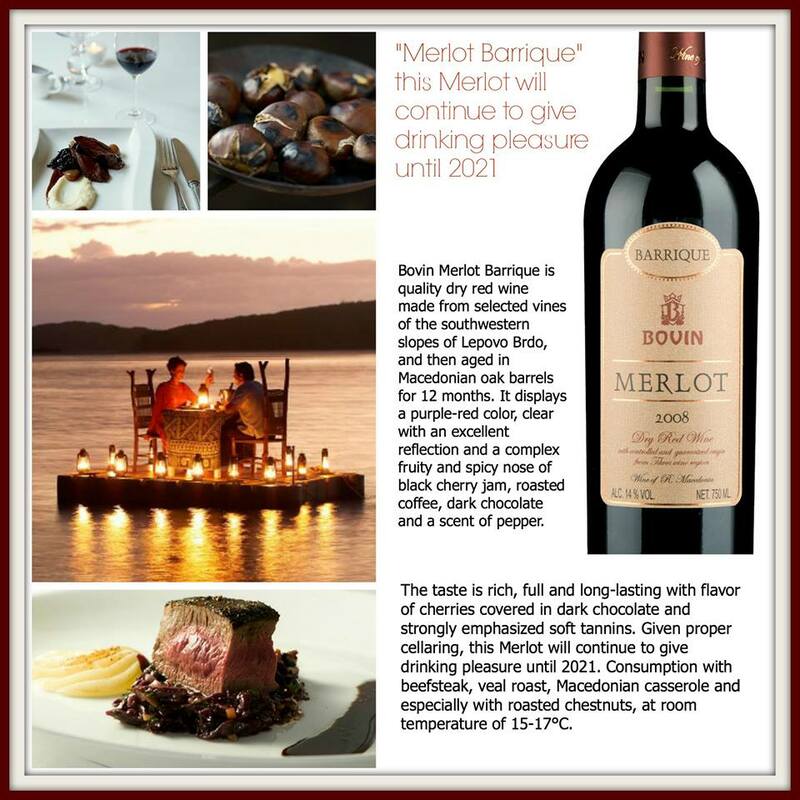 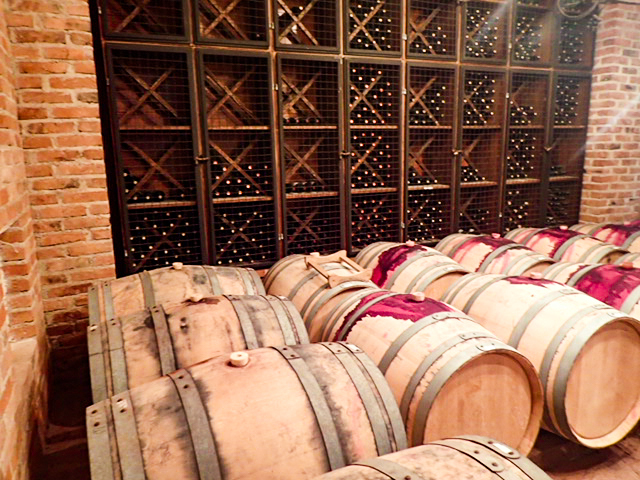 In its first year, the winery produced 120,000 bottles and through subsequent years of reinvesting and growing the family business, the winery has reached a capacity of 1.5 million bottles of wine. 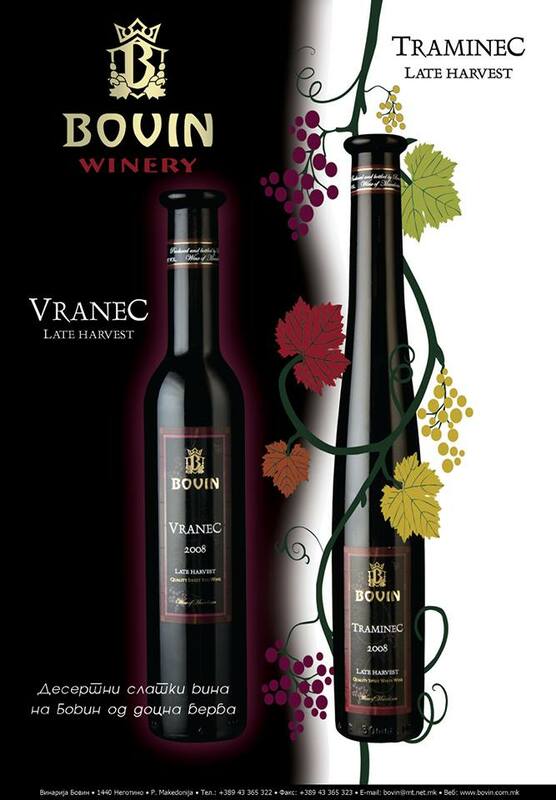 Vranec, the varietal indigenous to Macedonia, is probably Bovin’s flagship grape. 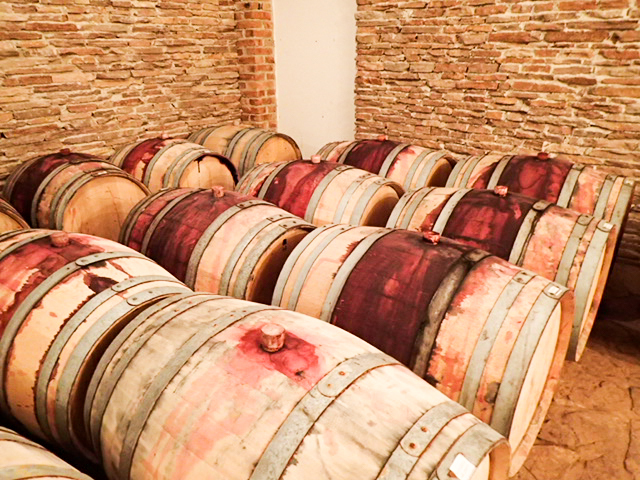 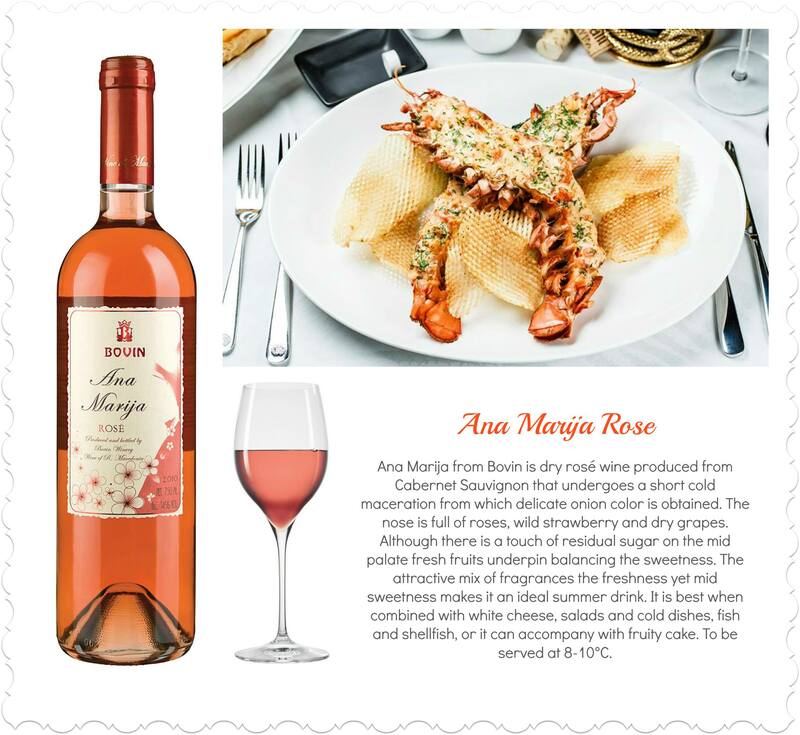 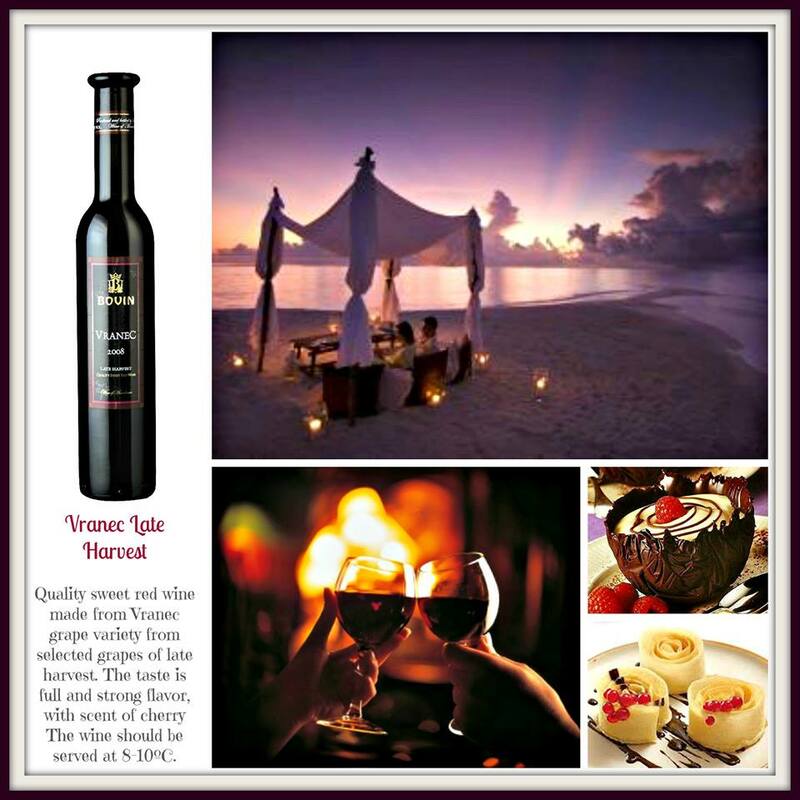 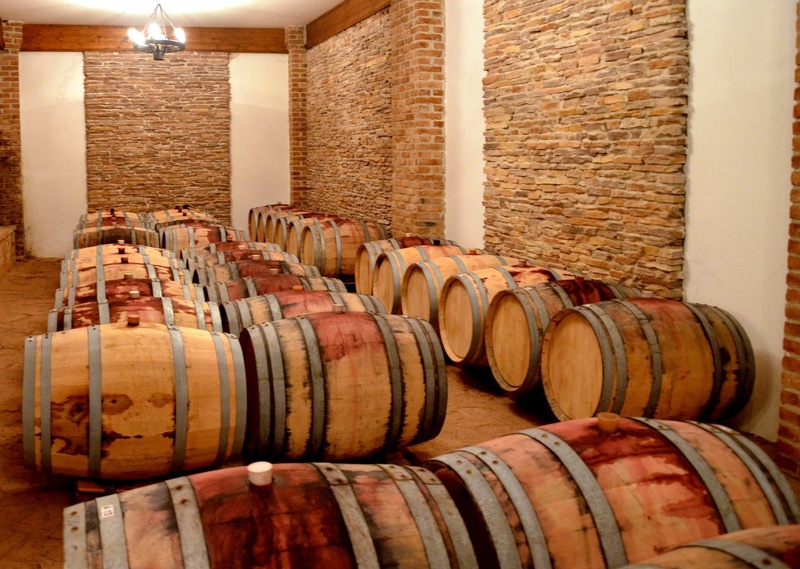 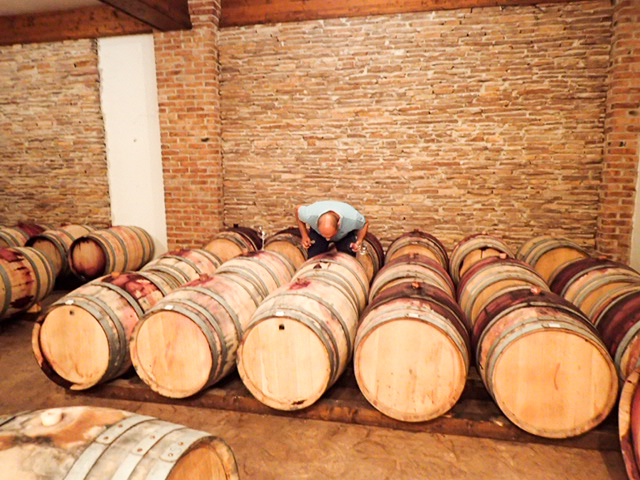 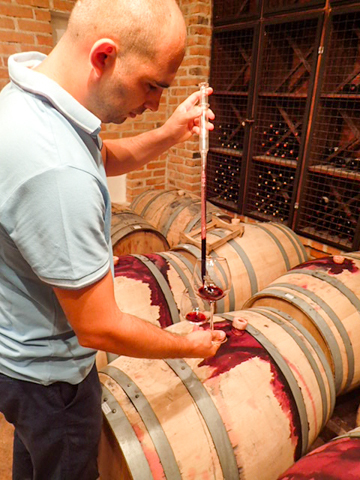 They have won many awards and brought Vranec to the international stage through their artisanal approach to cultivating and producing wine from Vranec. 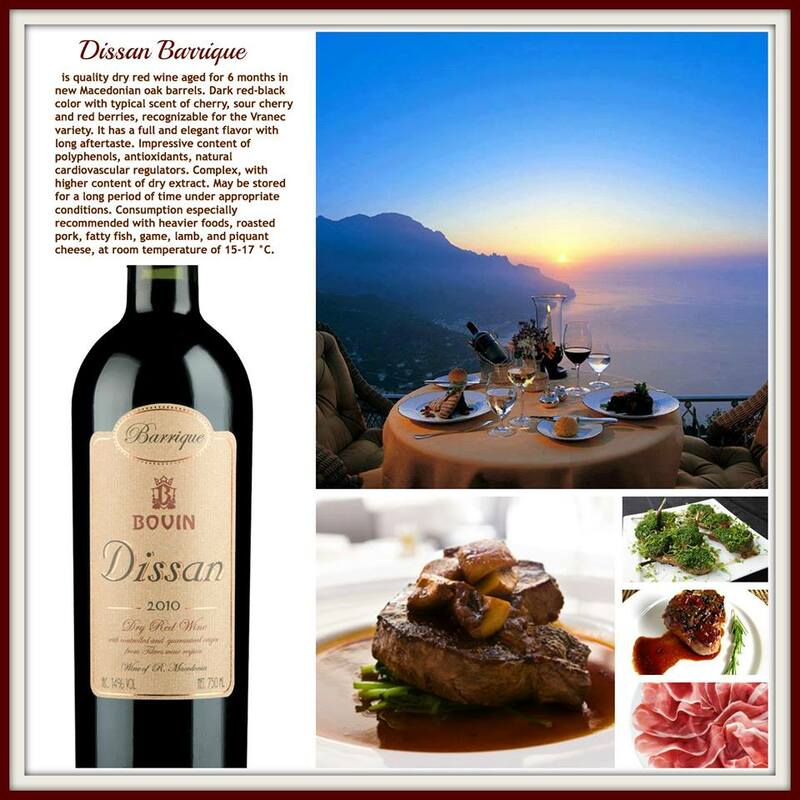 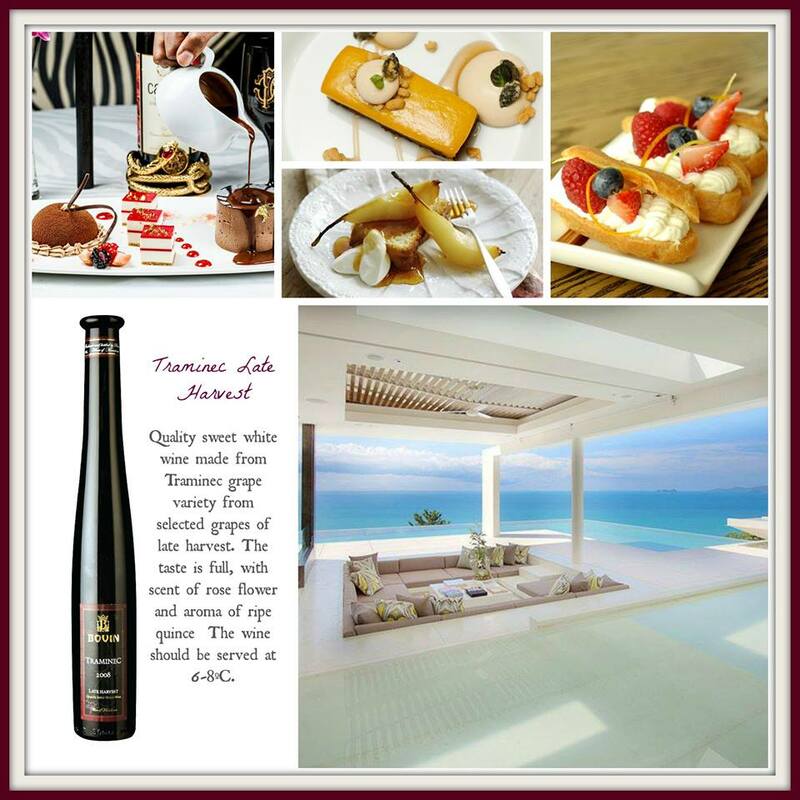 Their Dissan wine is a barriqued wine using Vranec grapes from the old vineyards located on the famous Dissan Hill. 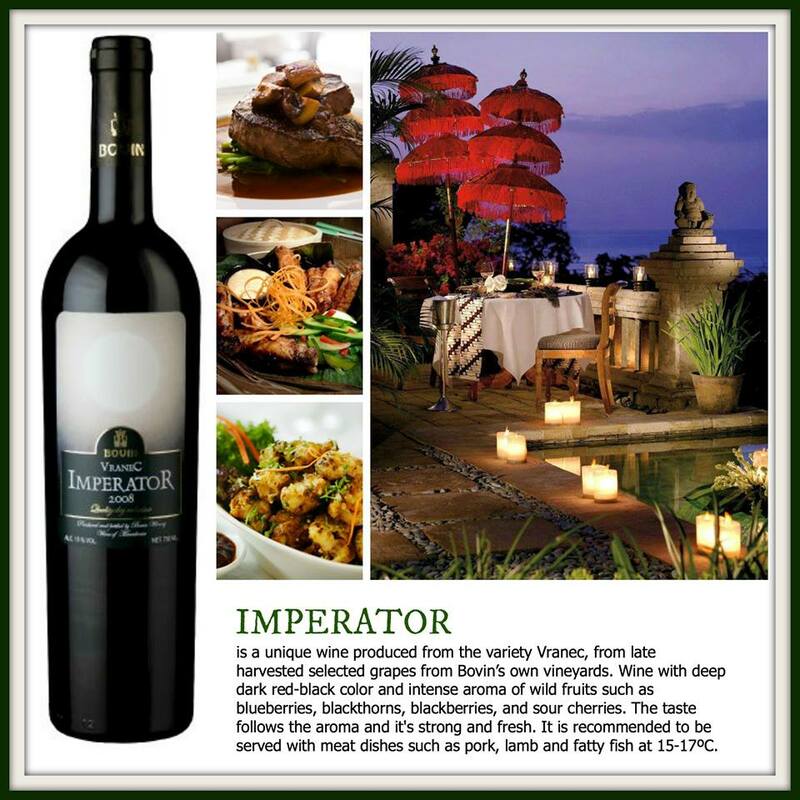 Another very unique wine, Imperator, is produced from late-harvested Vranec grapes. 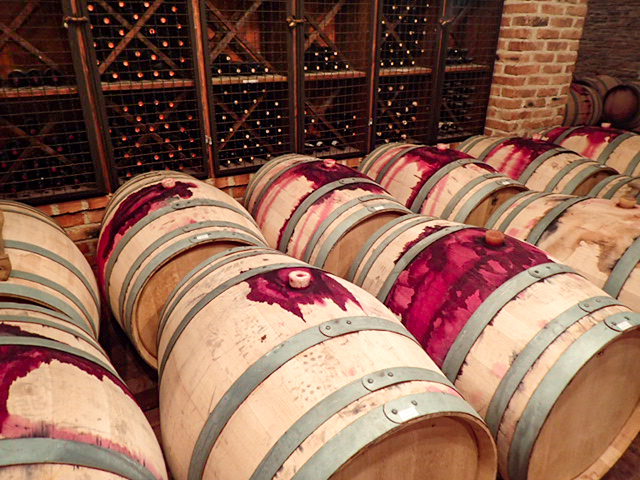 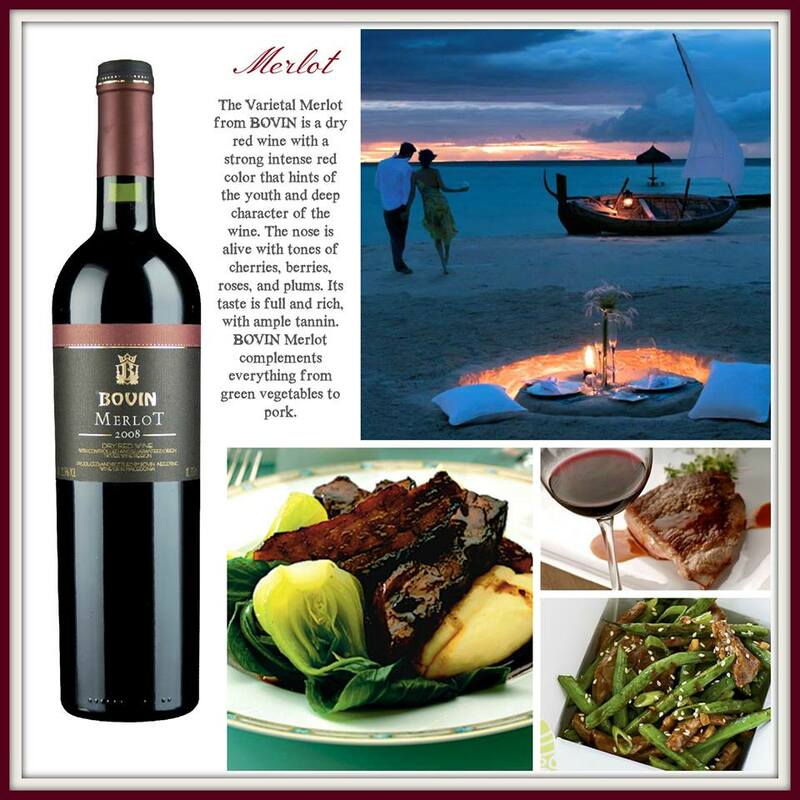 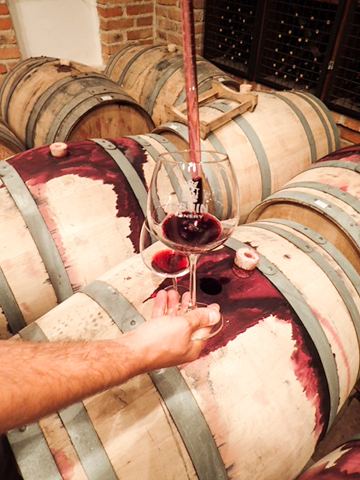 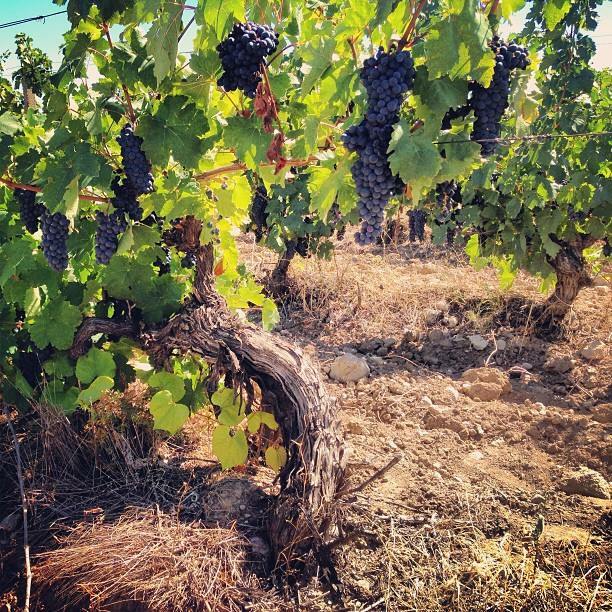 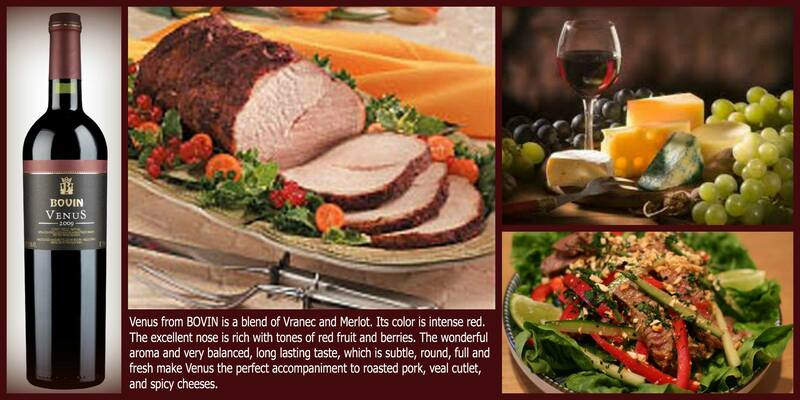 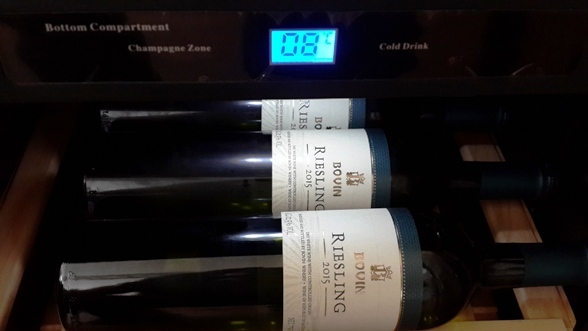 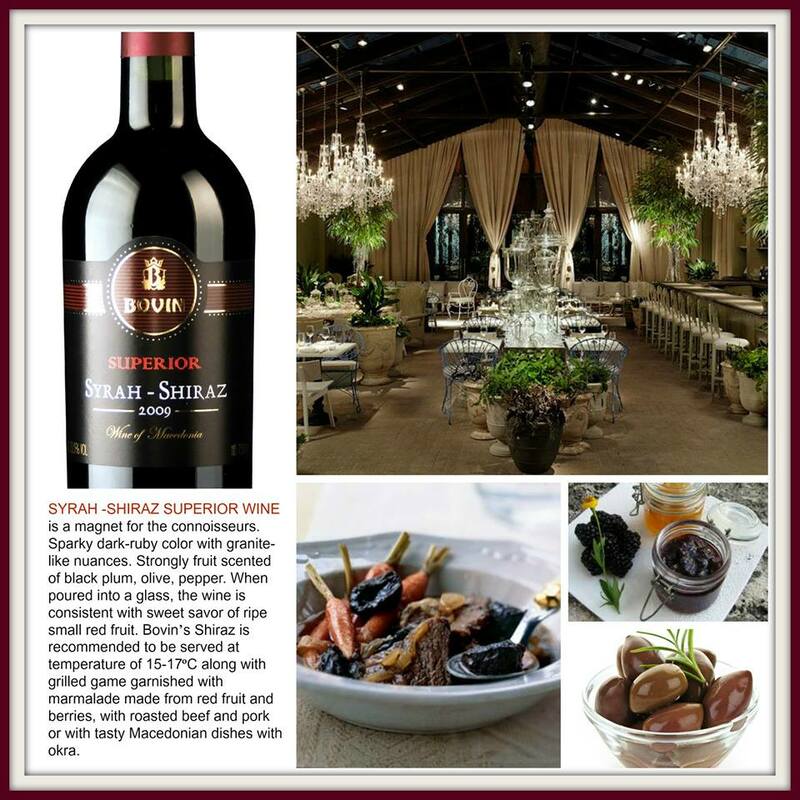 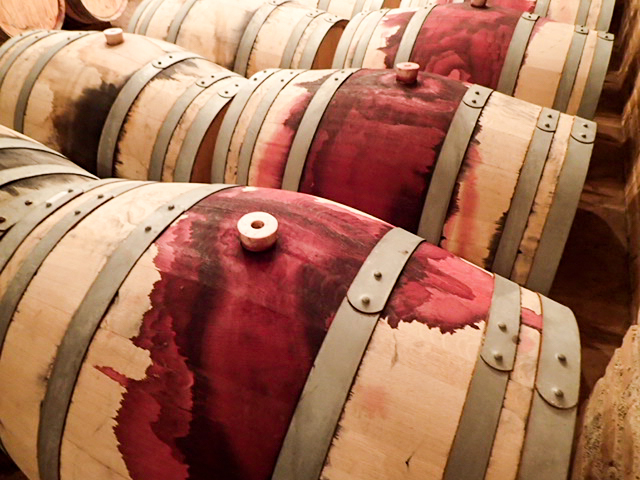 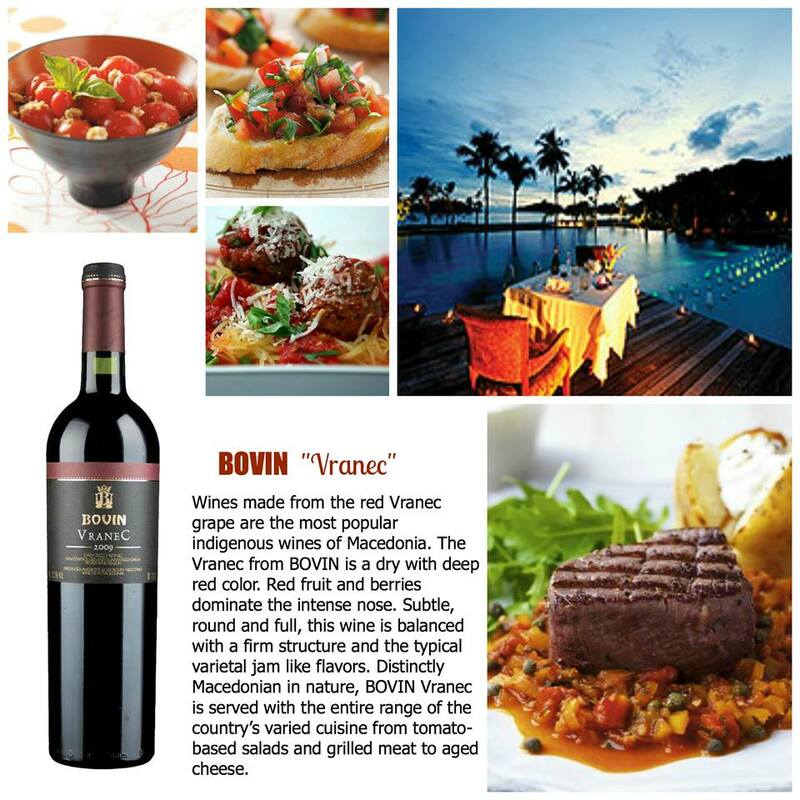 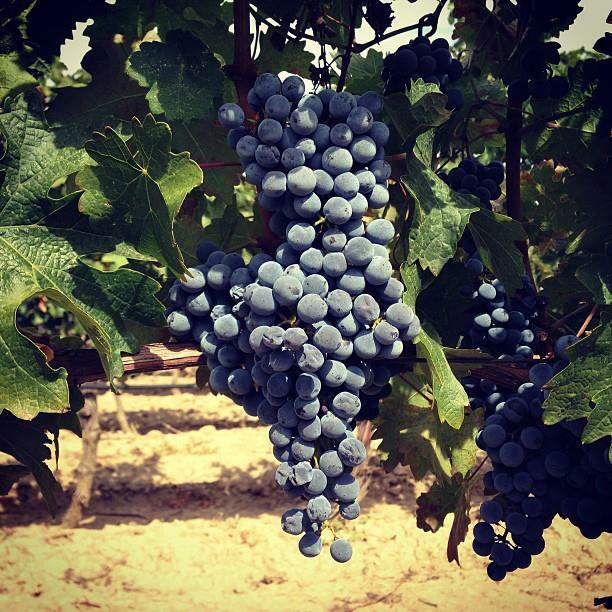 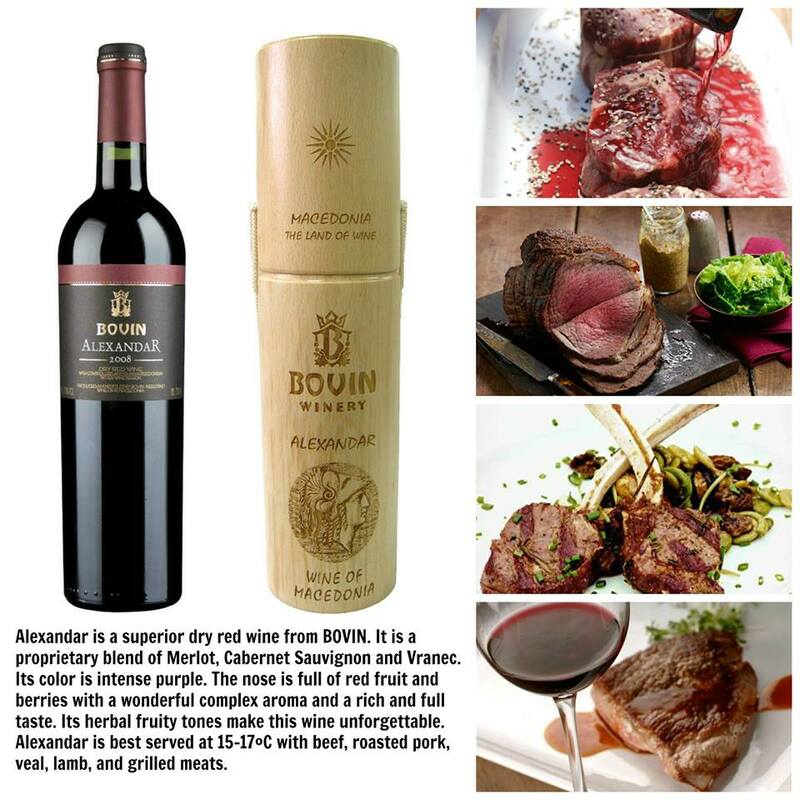 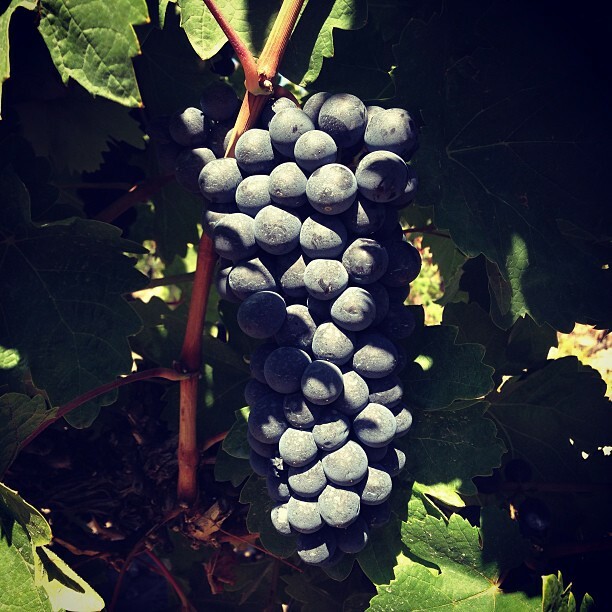 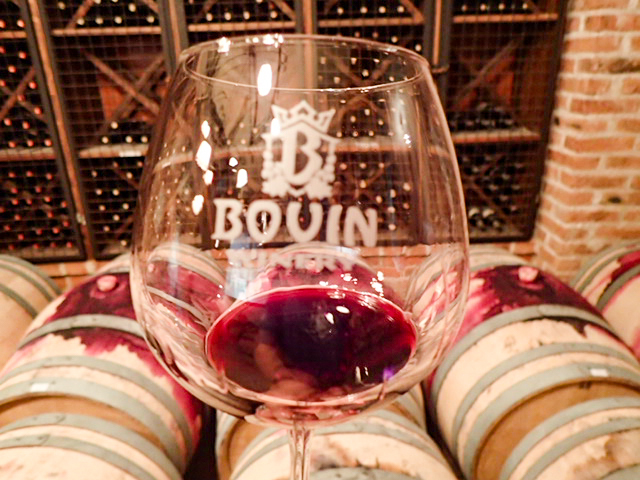 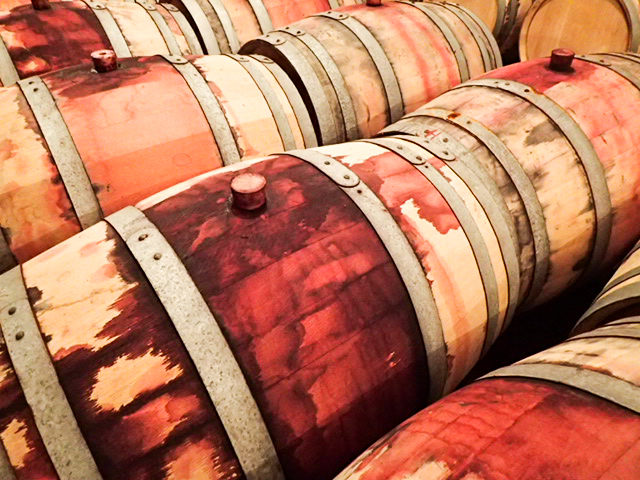 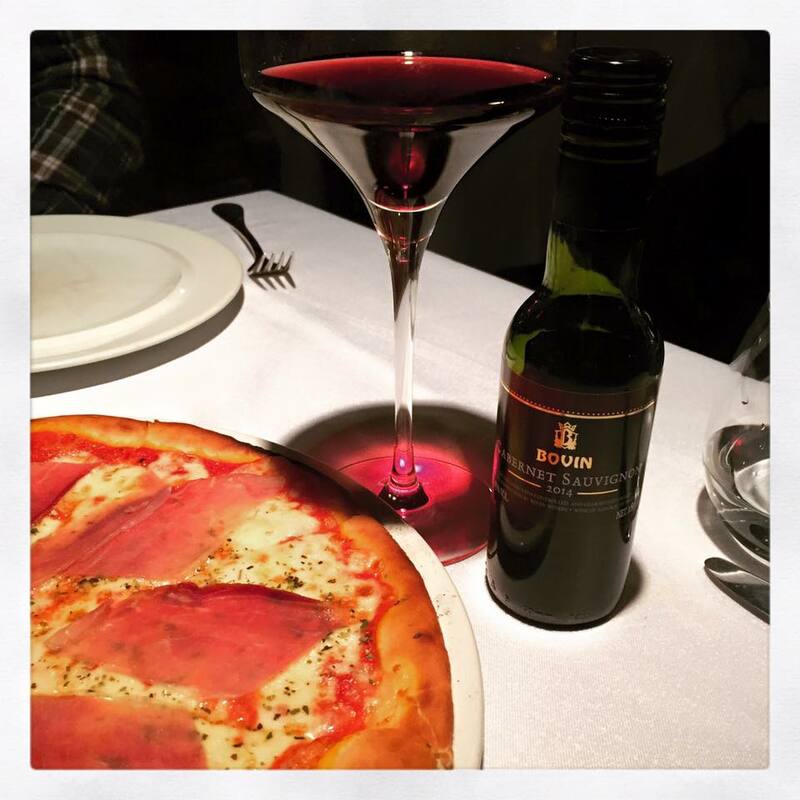 Bovin also uses Vranec to craft exquisite award winning blends such as “Alexandar” (blend of Cabernet Sauvignon, Merlot and Vranec), “Venus” (blend of Vranec and Merlot), and “Daron” (a premium blend of Merlot, Cabernet Sauvignon and Vranec). 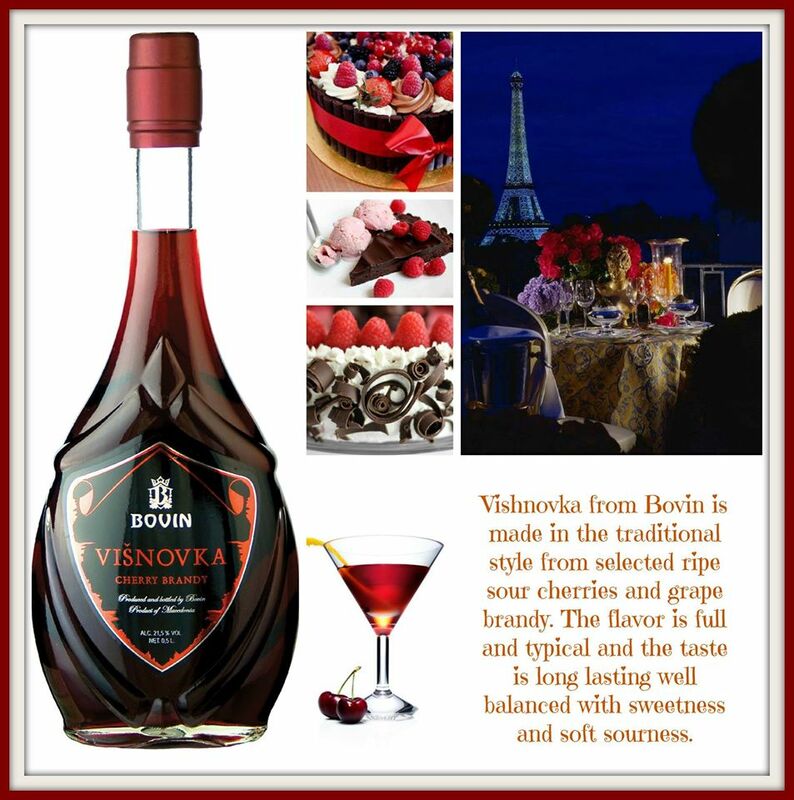 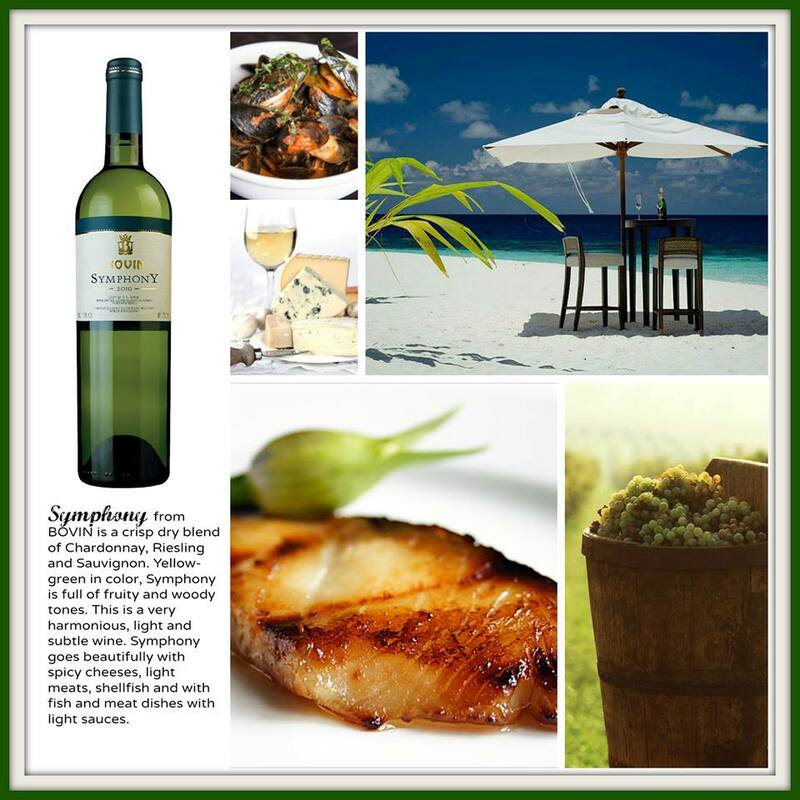 Another great example of their work with an indigenous grape is the premium white Dissan wine which is made from Smederevka. 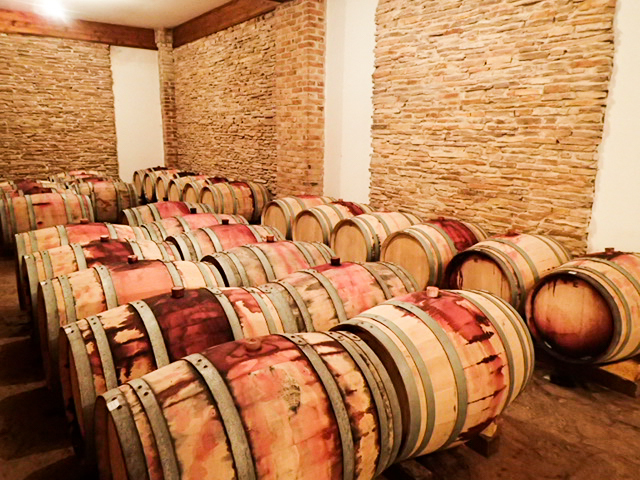 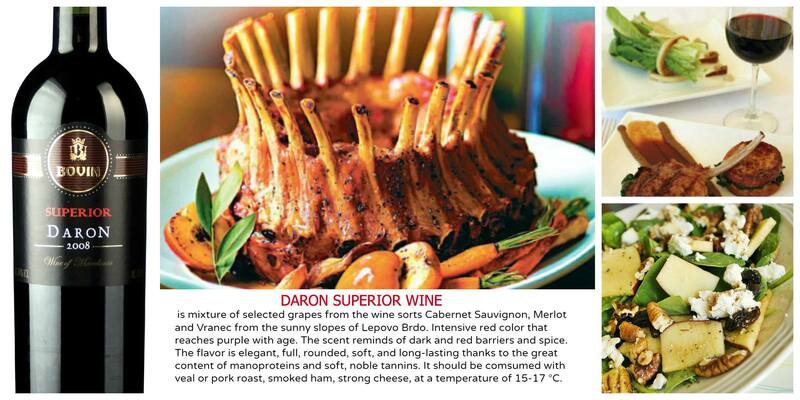 Macedonia has proven to have great climate and soil conditions for international grapes such as Cabernet Sauvignon, Chardonnay, Merlot, Muscat, Pinot Noir, Riesling, Sauvignon Blanc, Syrah (Shiraz) and Traminer, all of which Bovin crafts nice vintages, but not so common place in Macedonia are other varietals from which the winery produces superb wines such as: Cabernet Franc, Petit Verdot, Sangiovese and Tempranillo. 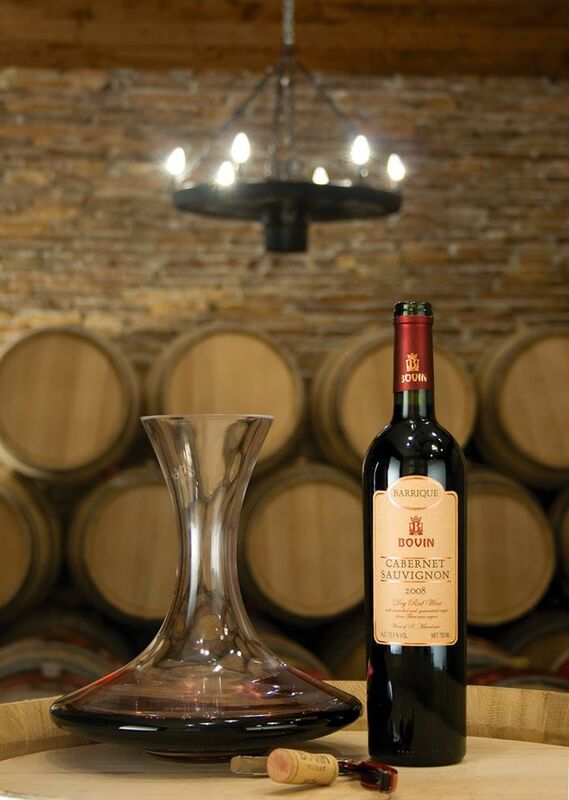 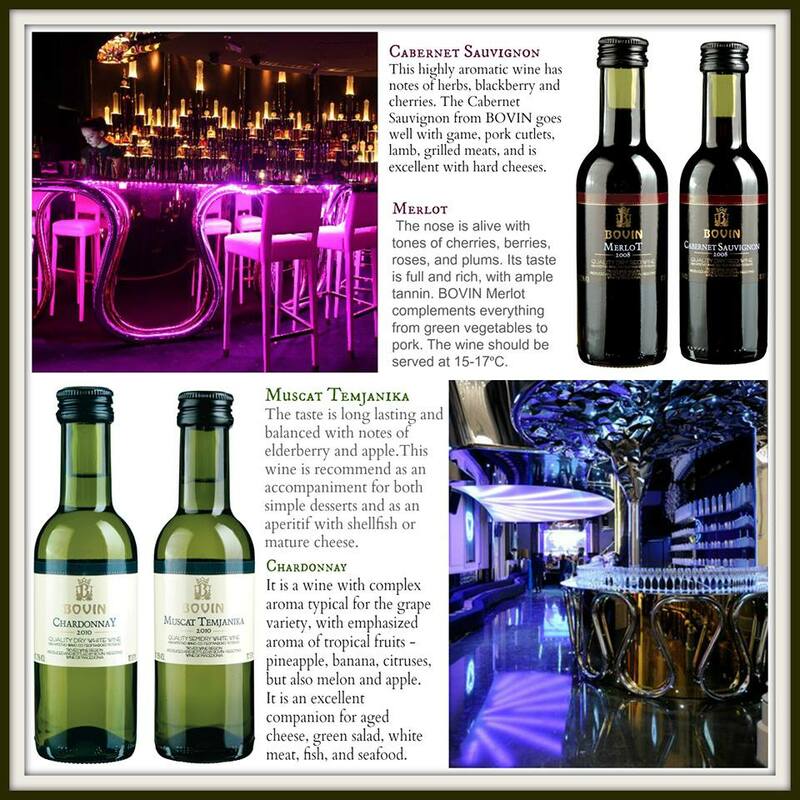 The winery’s awards range from winning medals at the Chardonnay du Monde in France (10 medals in 14 years), to medals at the International Wine Challenge – London, UK, Concours International Des Cabernets – Paris, France, Premium Select Wine Challenge ProWein, Germany, and medals awarded in China as well as medals from competitions in South Eastern Europe and national competitions in Macedonia. 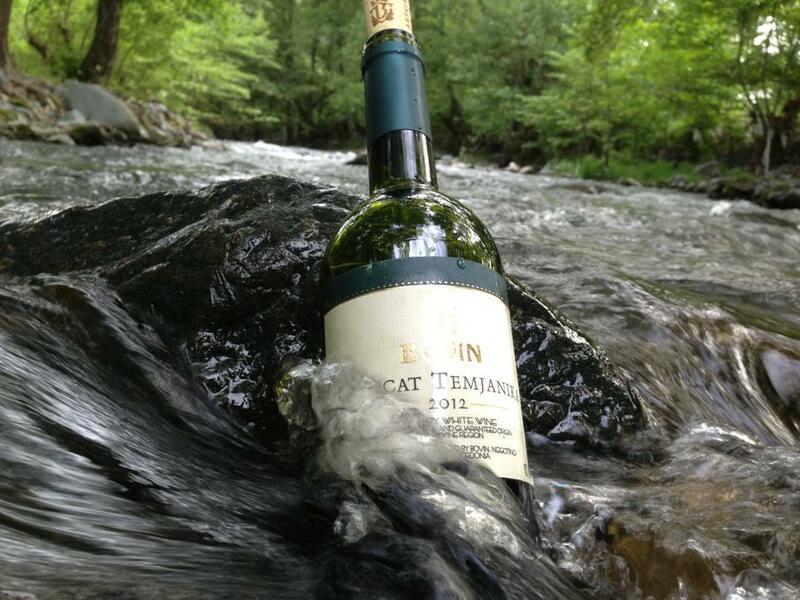 The secret behind their success is a nature approach. 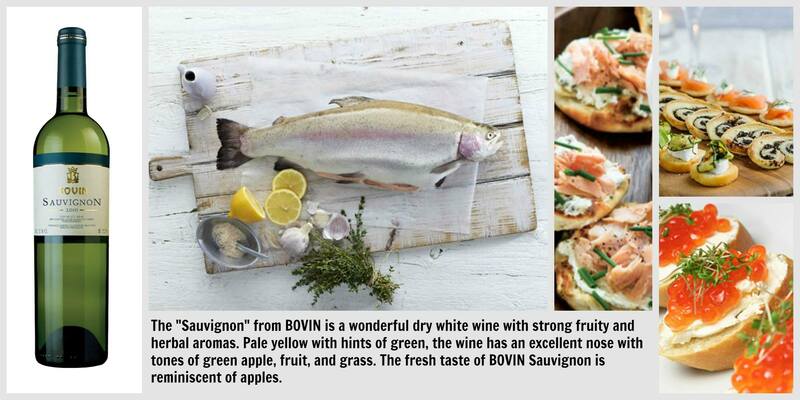 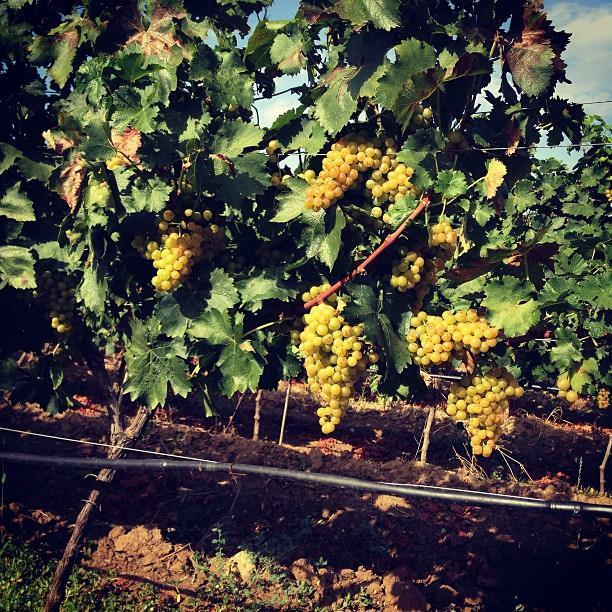 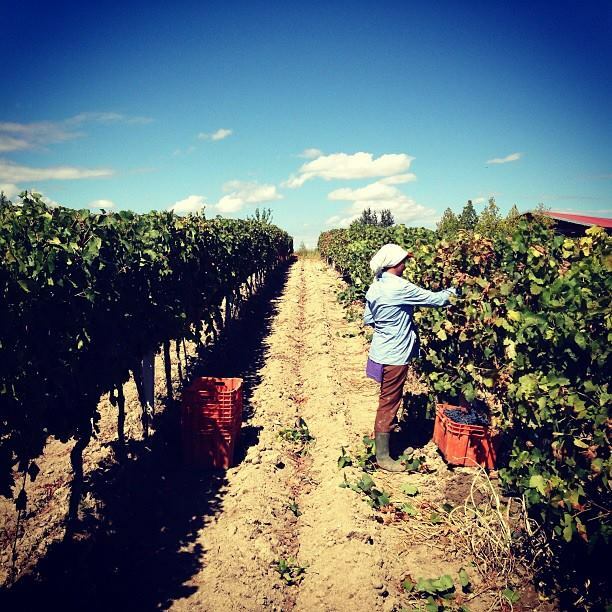 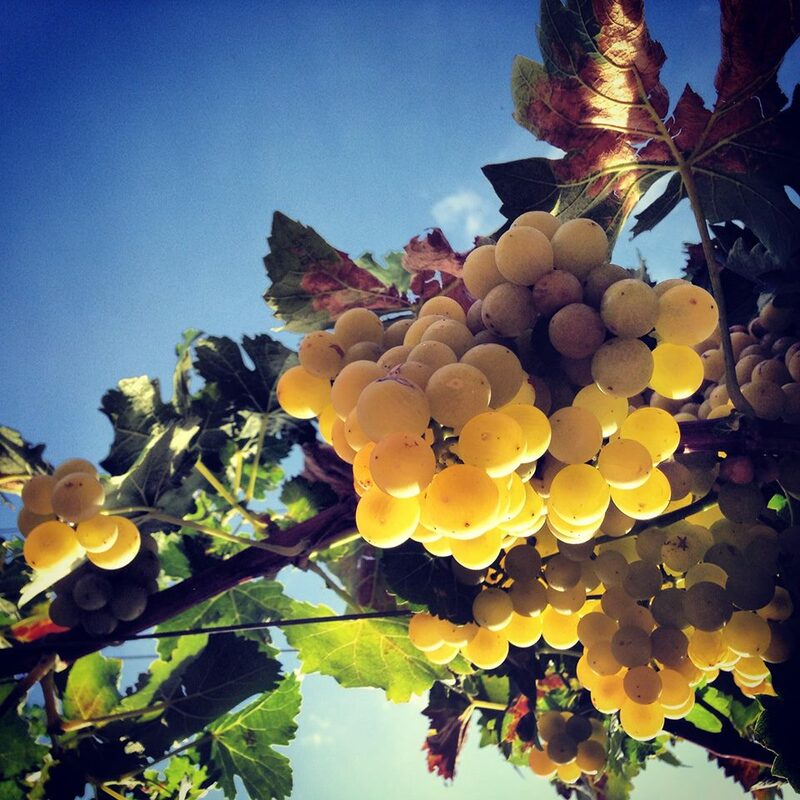 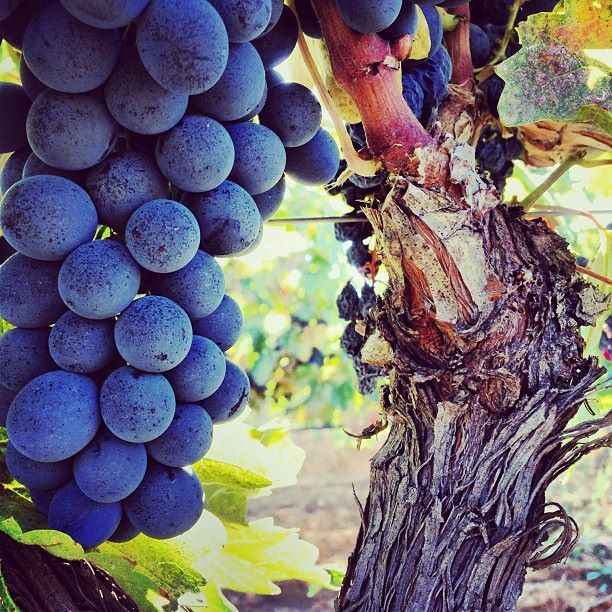 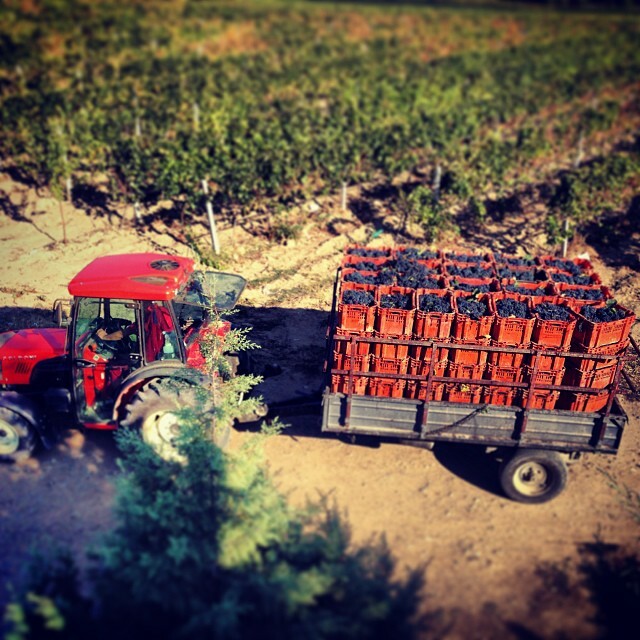 Bovin workers hand-pick grapes from select vineyards that are cultivated by hand and by letting the grapes grow as nature intended with other flora such as wildflowers, herbs and other berries growing in between the rows or even next to the vine itself. 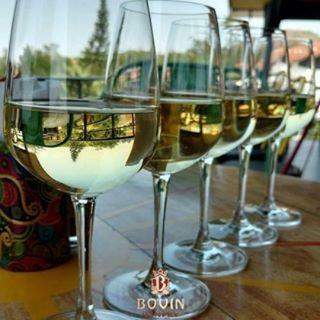 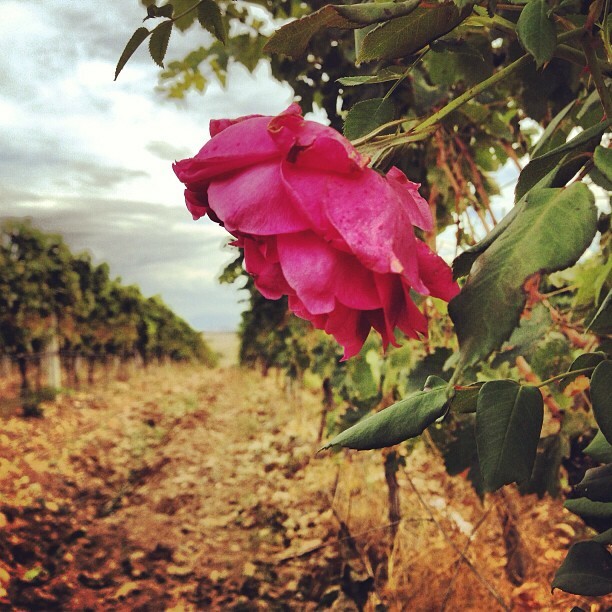 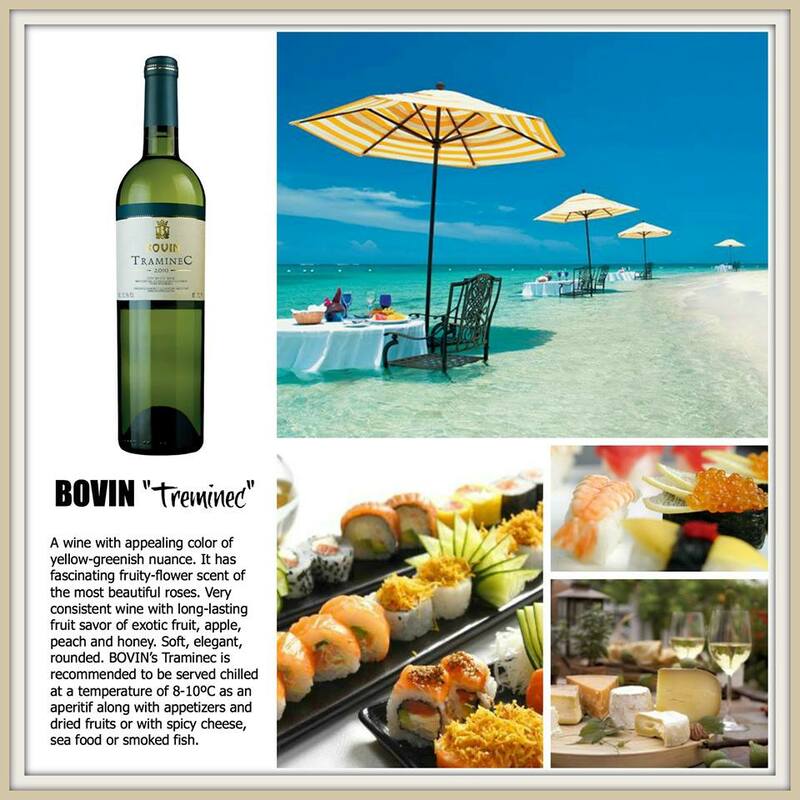 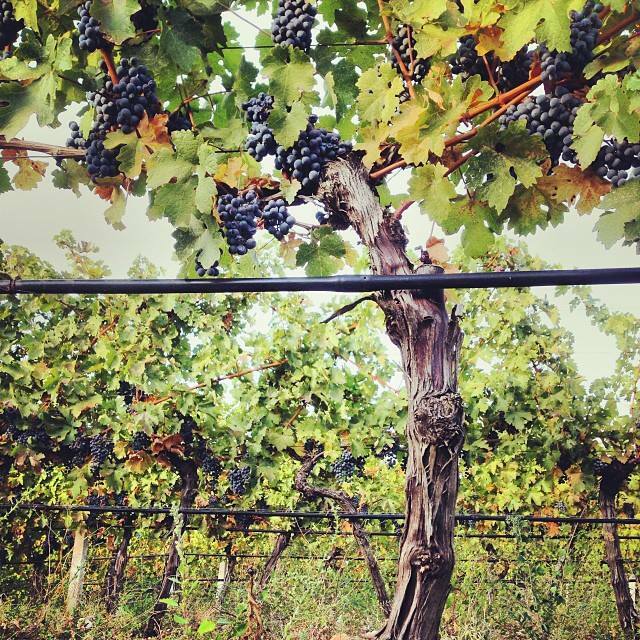 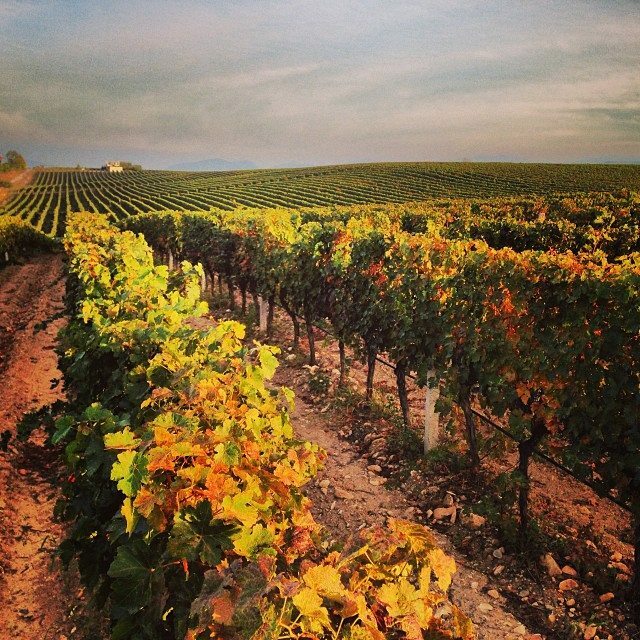 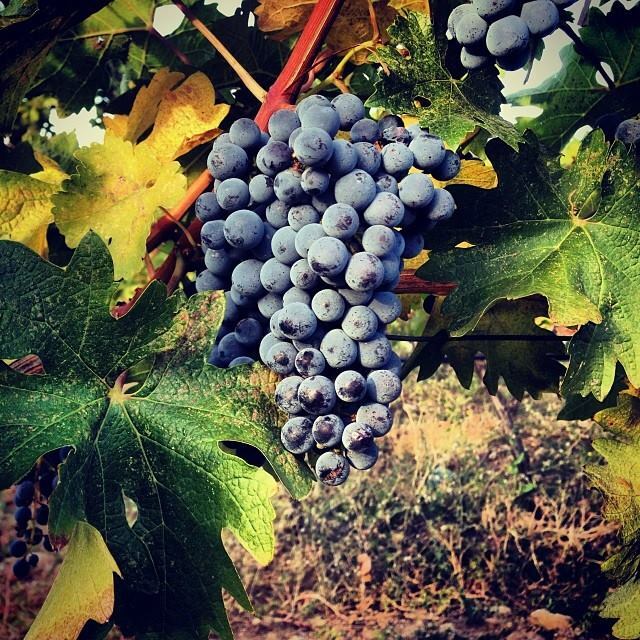 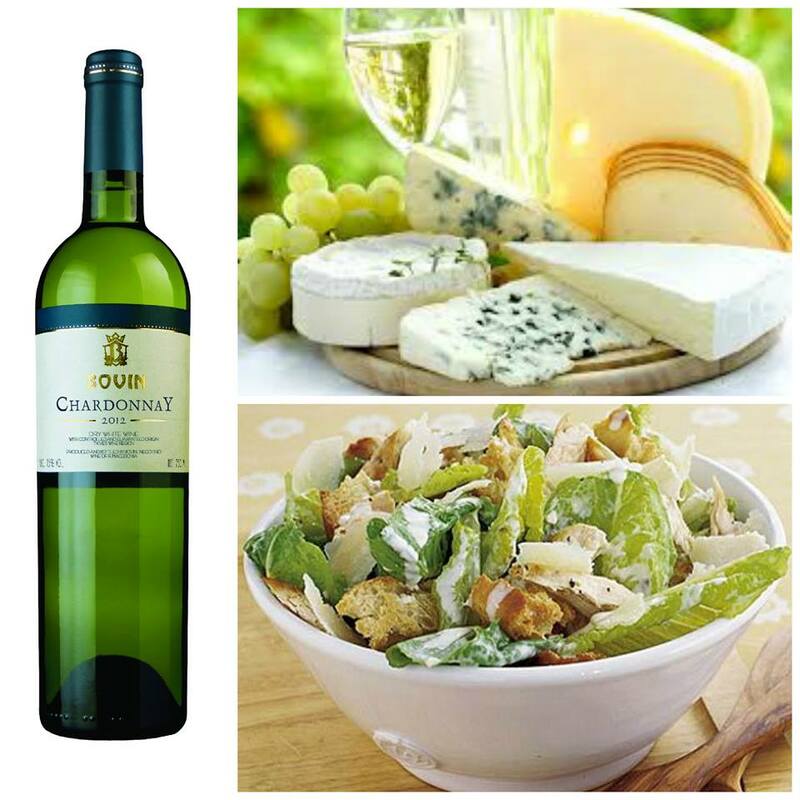 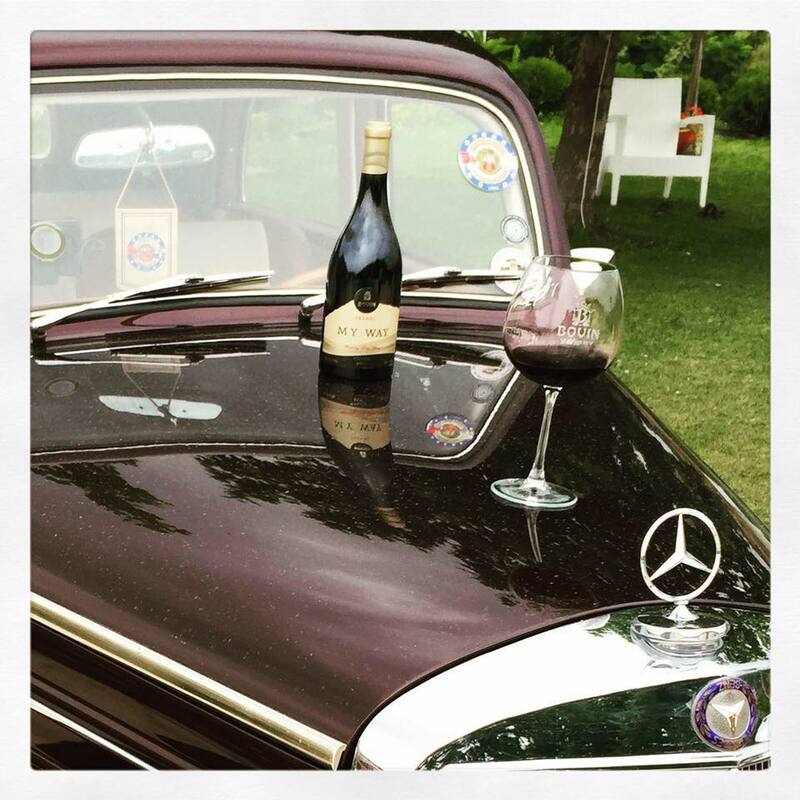 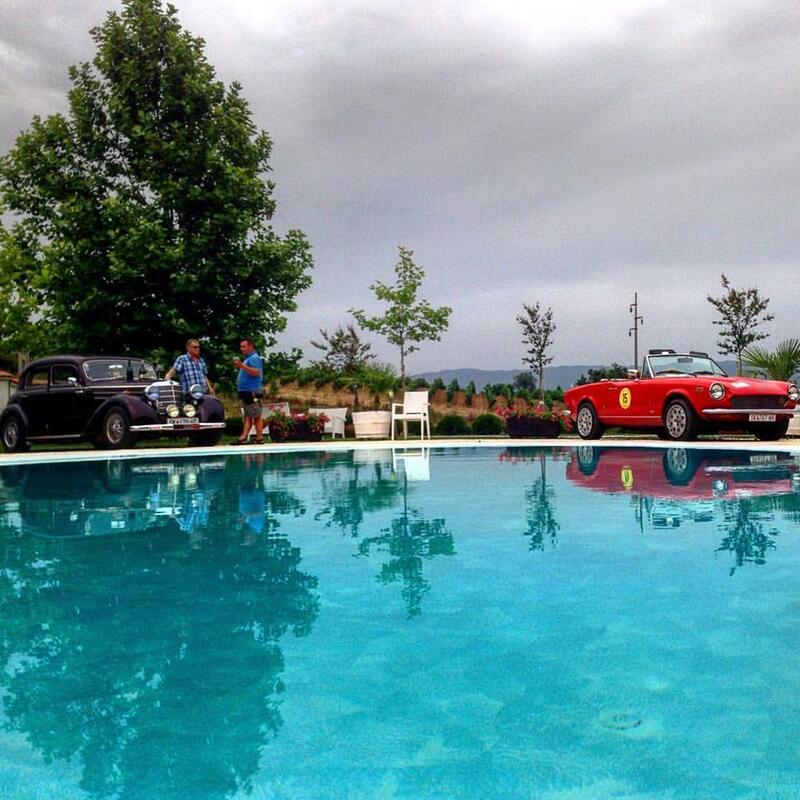 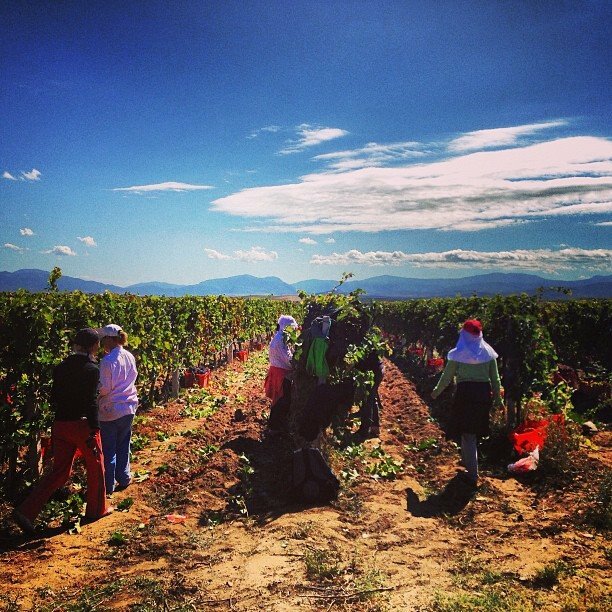 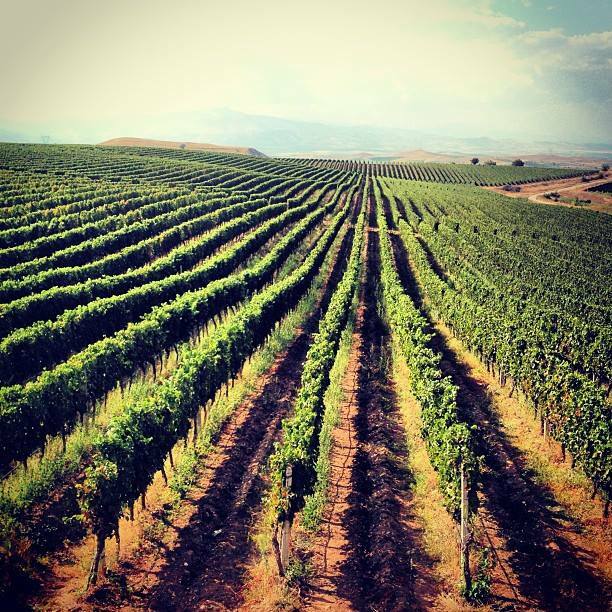 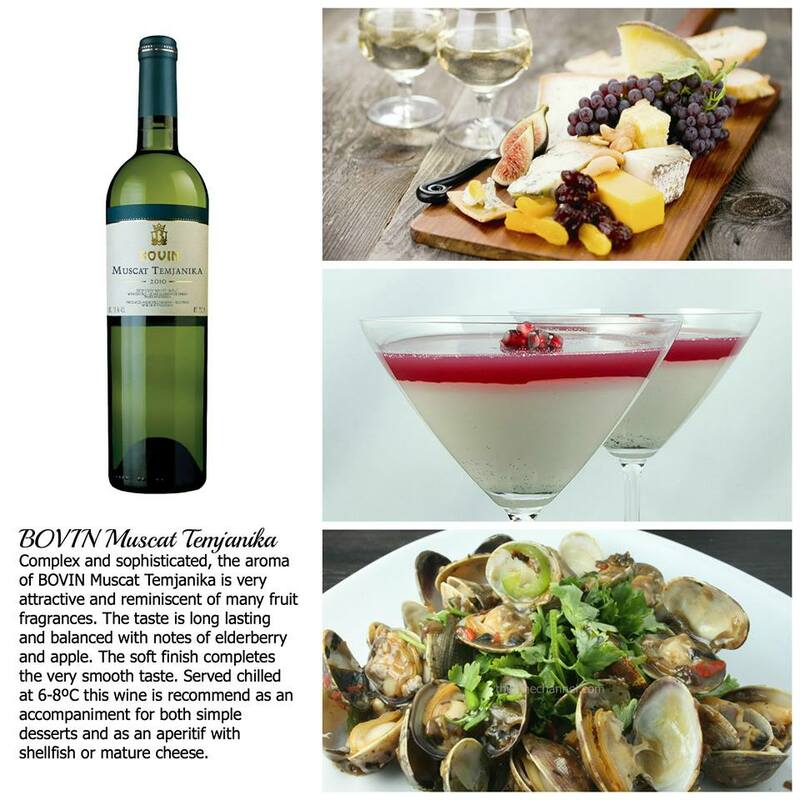 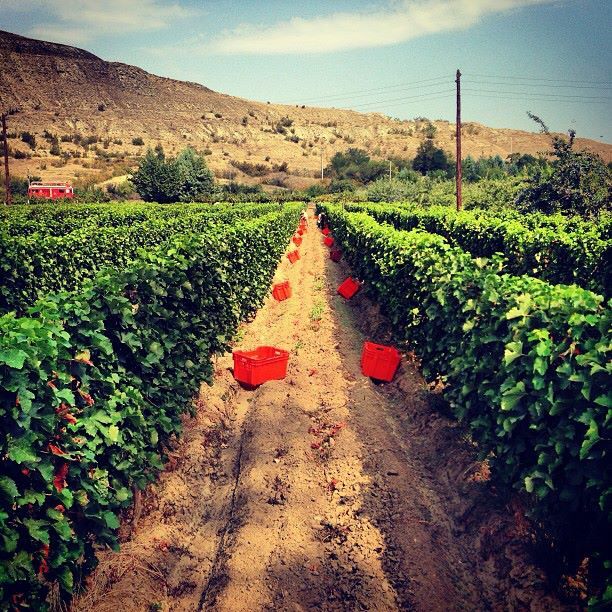 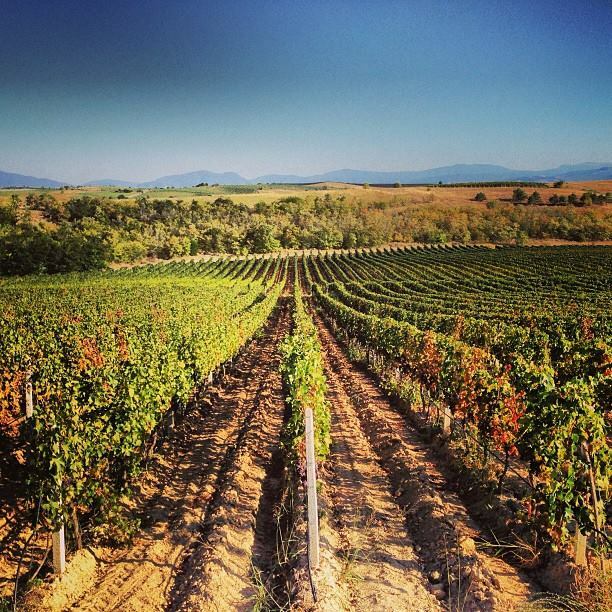 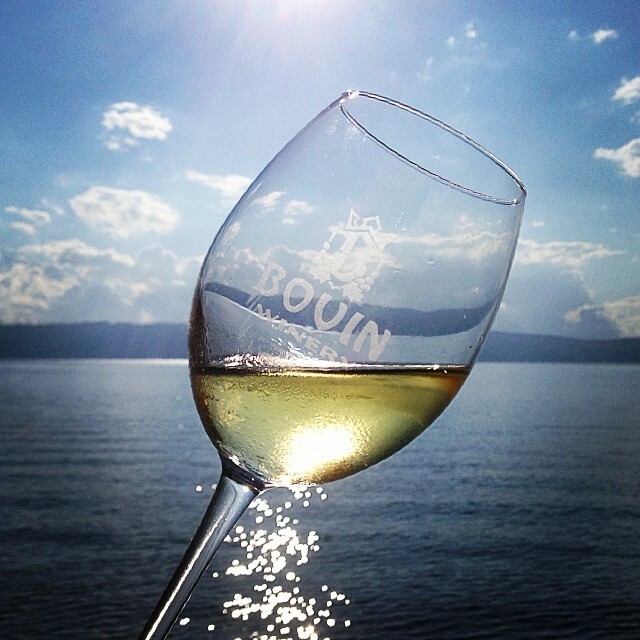 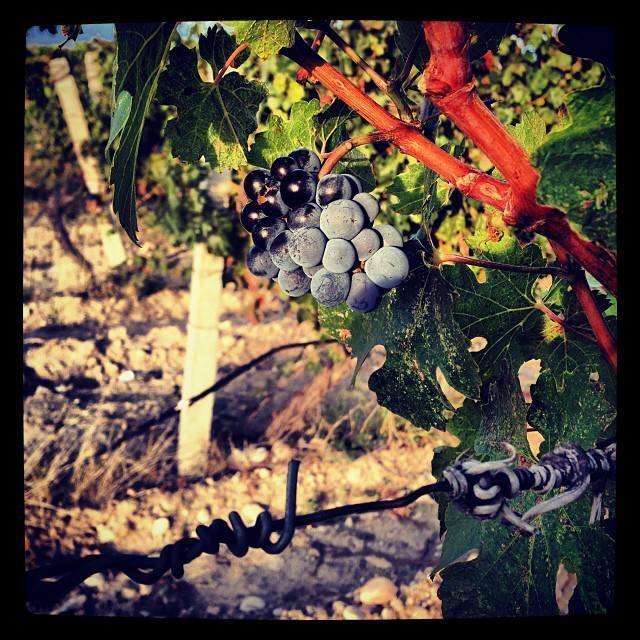 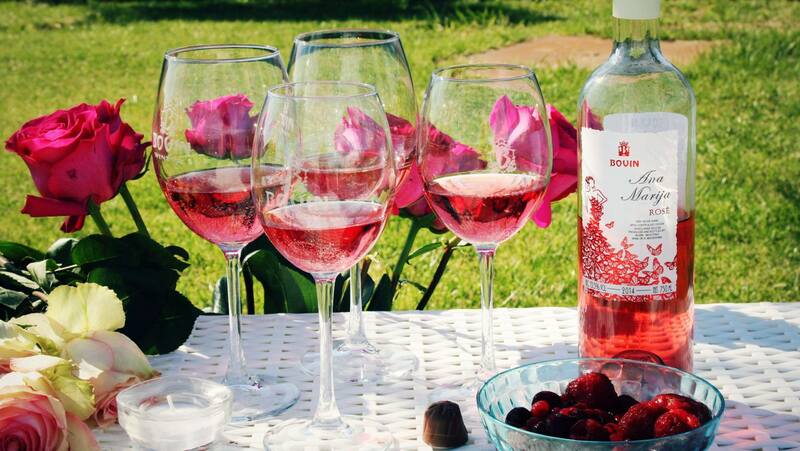 Bovin owns and operates over 60 hectares (150 acres) of vineyards located at the hills of Lepovo and Disan. 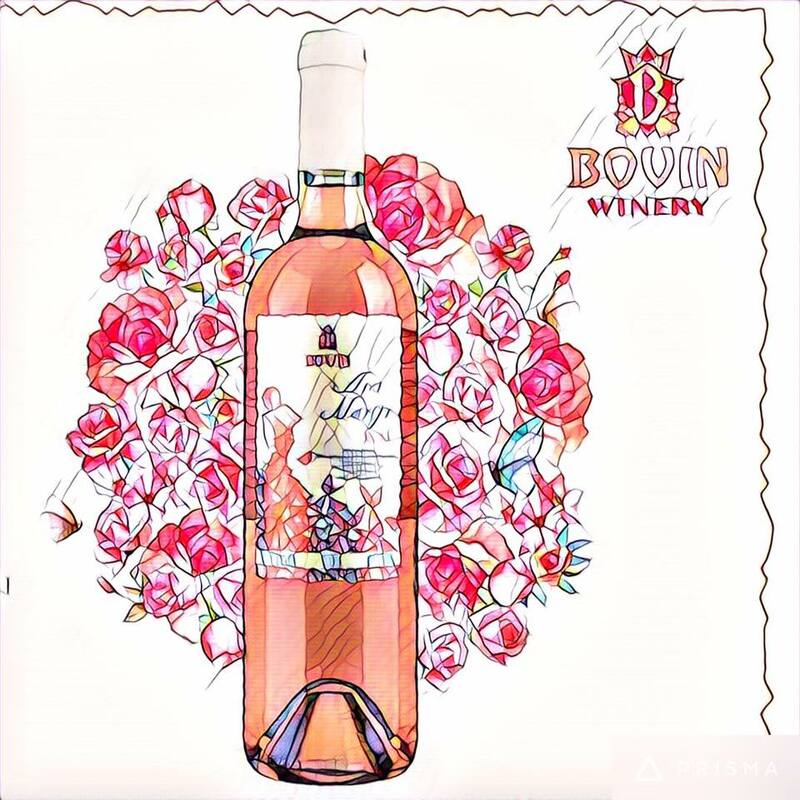 The Bovin Winery is located in Negotino which is approximately 95 kilometers south of Skopje on the main highway (E-75) to Gevgelija. 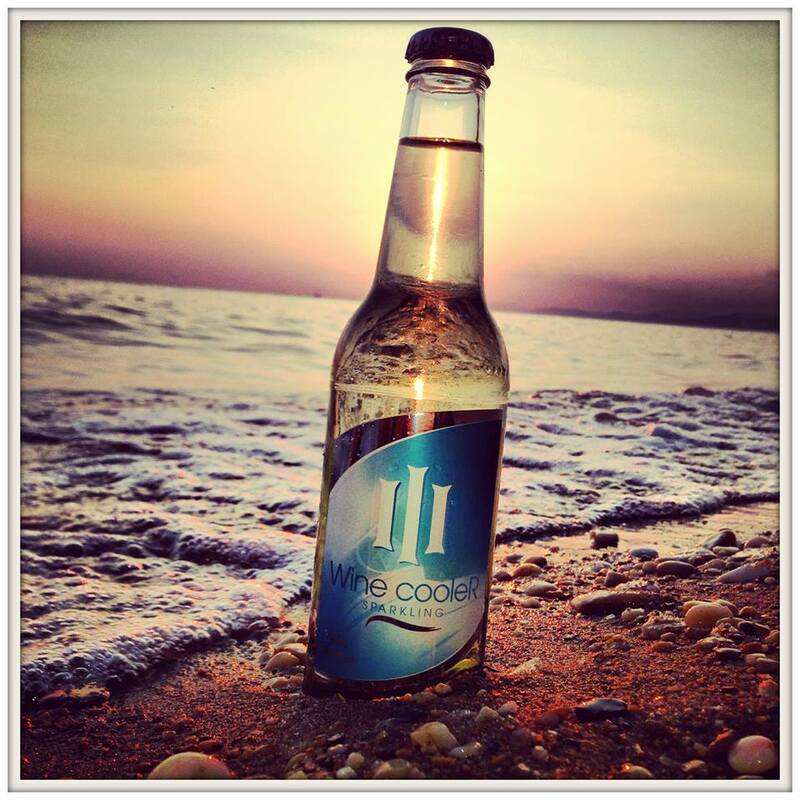 The drive will take you anywhere from 1 hour 15 minutes to an hour and a half depending on your driving habits. 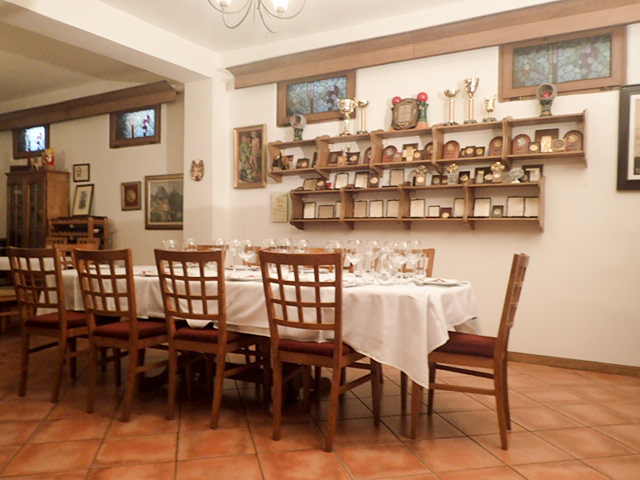 At the next intersection (after a short distance), turn right again. 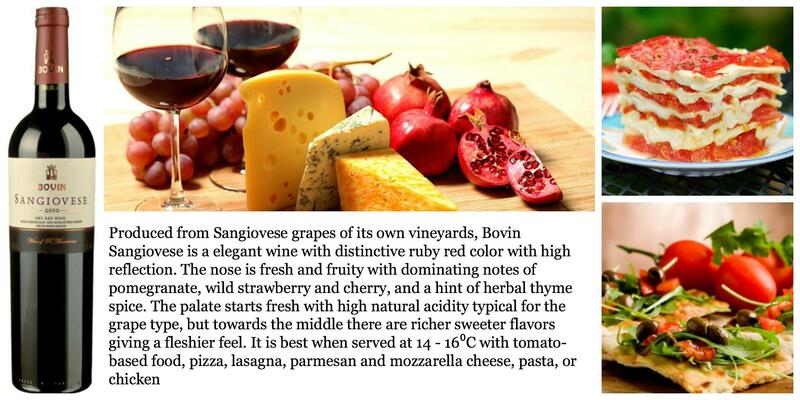 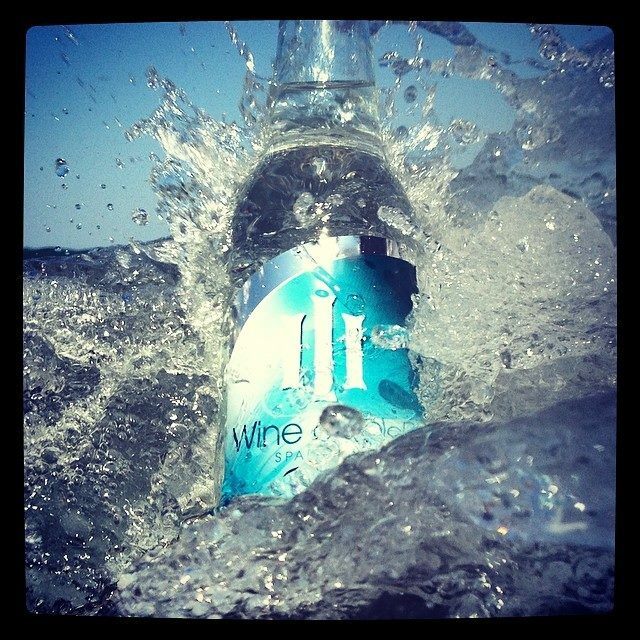 Take the second left and this will lead you straight to the Bovin Winery.